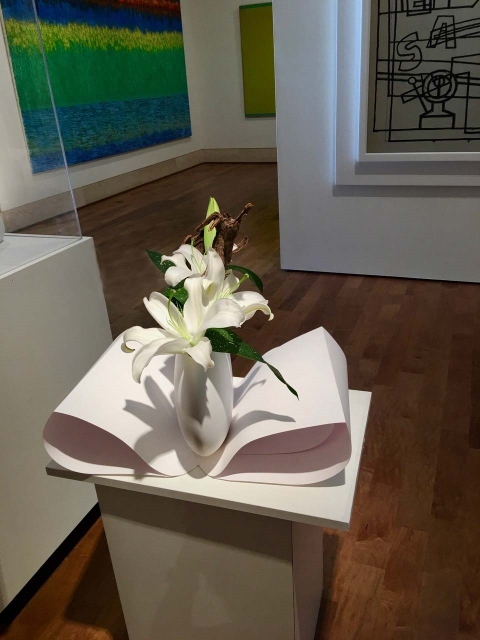 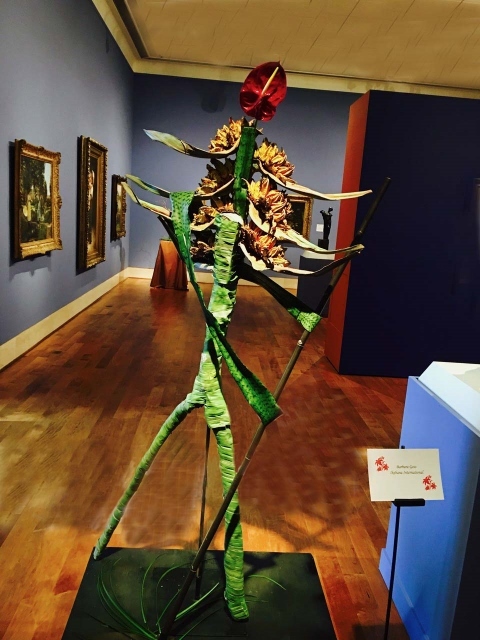 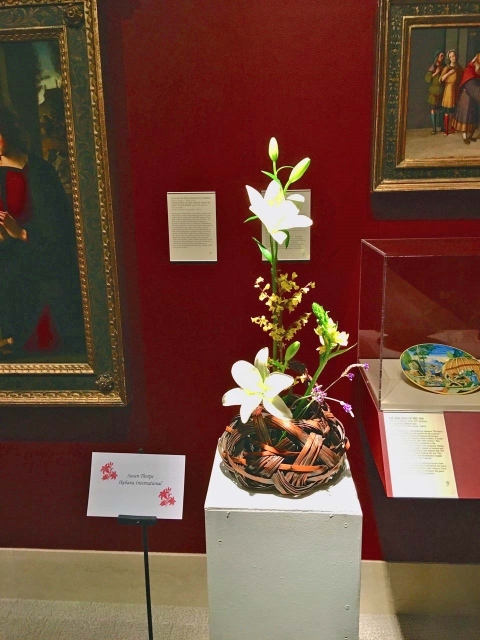 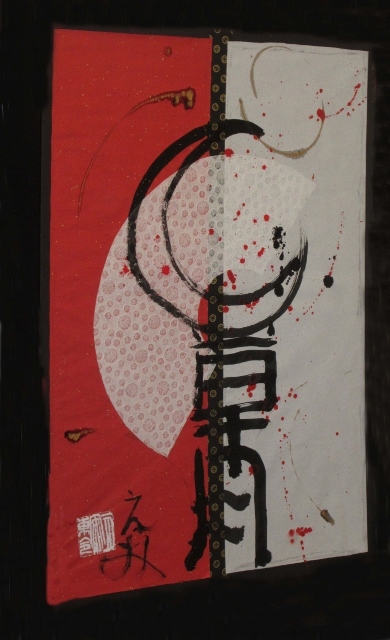 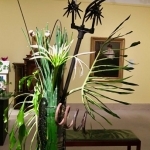 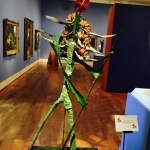 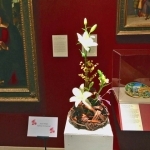 The Museum of Fine Arts (March 30-April 3): The beauty of Spring reflected art of the ages with arrangements by many of our talented members! 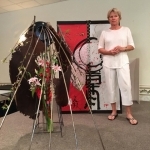 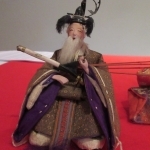 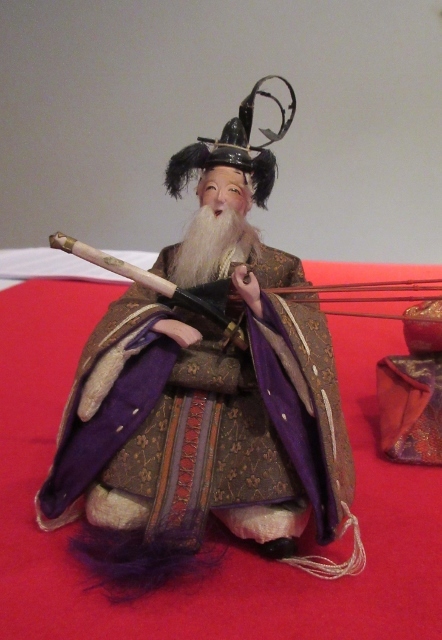 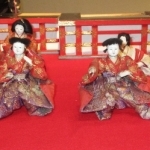 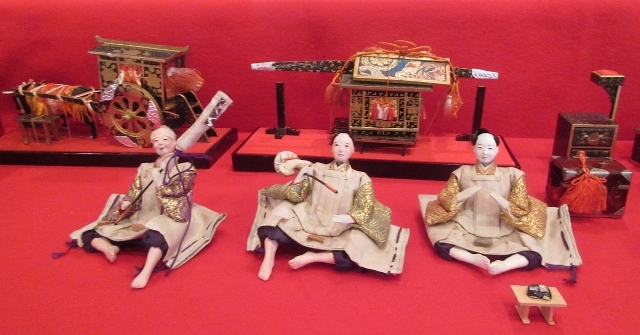 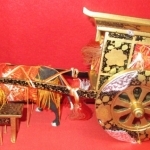 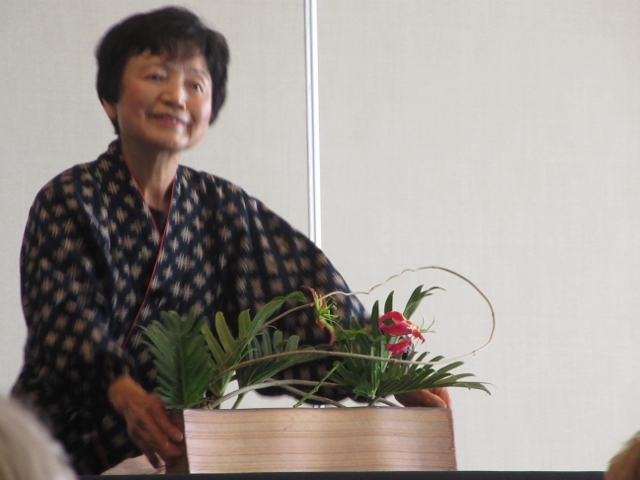 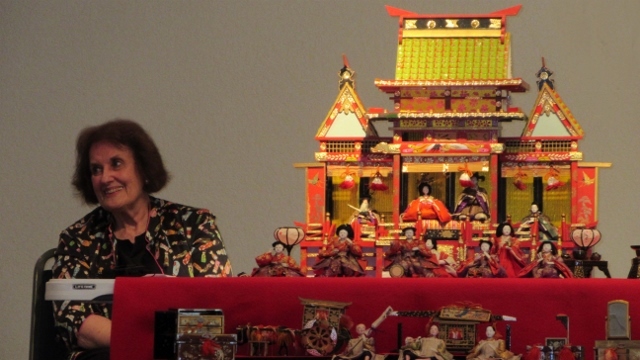 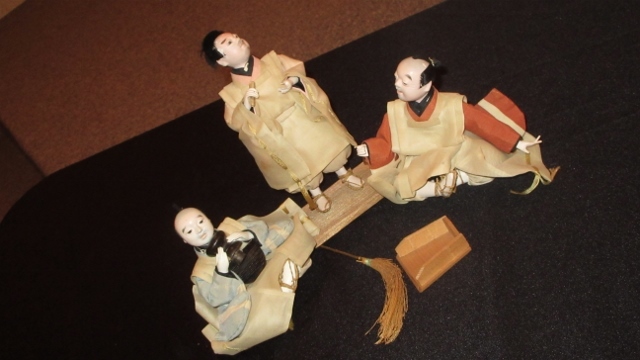 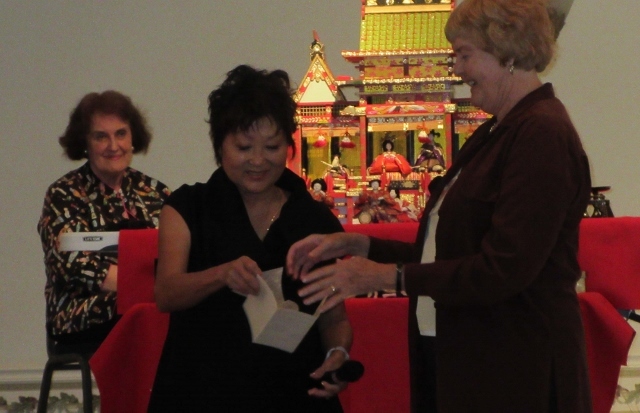 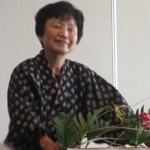 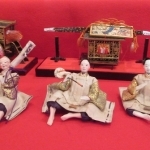 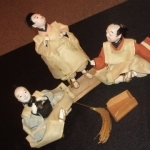 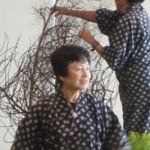 Our March Program featured Dianne Milla and her extraordinary collection of Hina Matsuri Dolls! 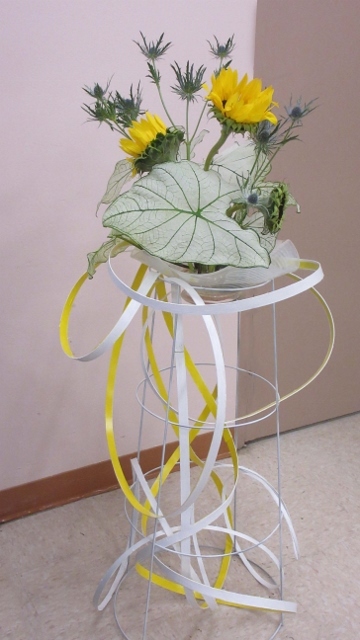 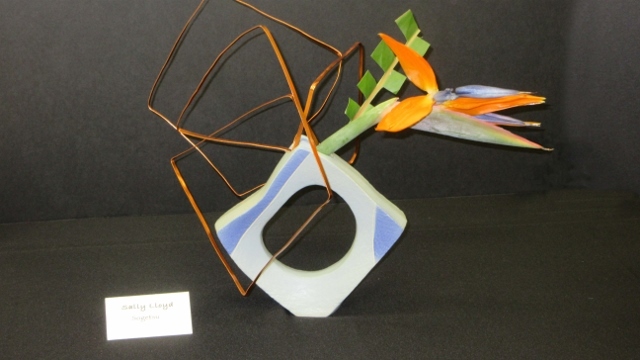 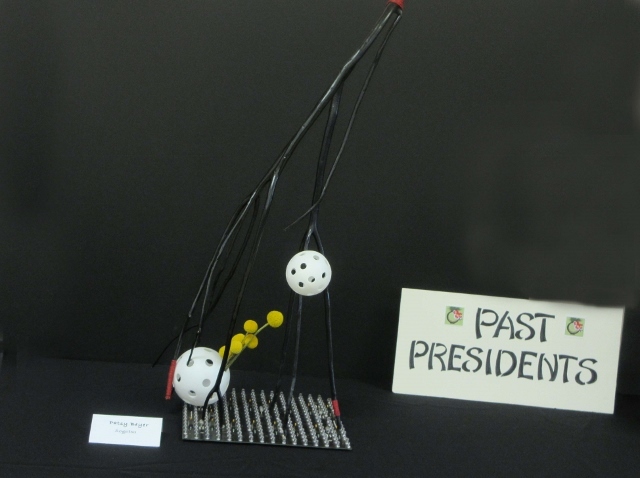 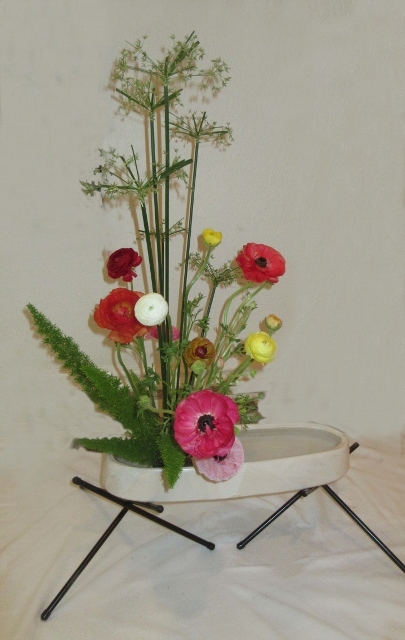 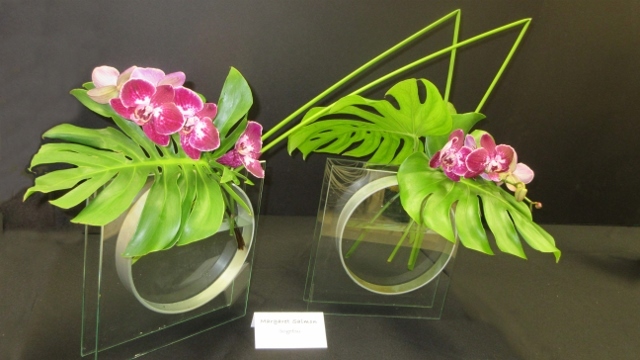 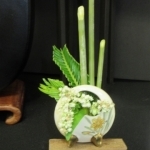 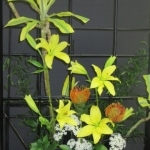 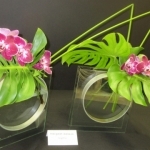 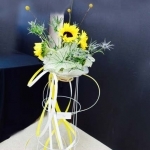 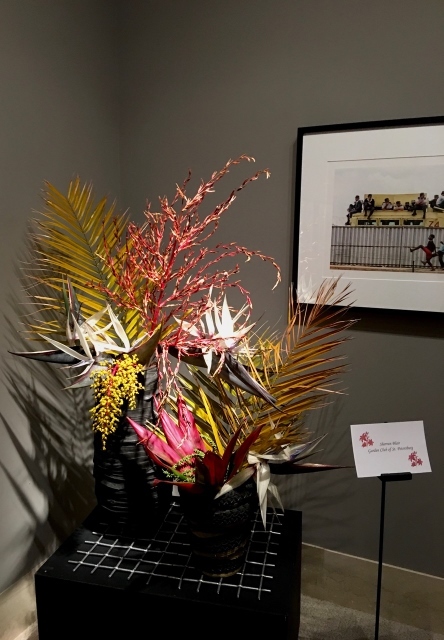 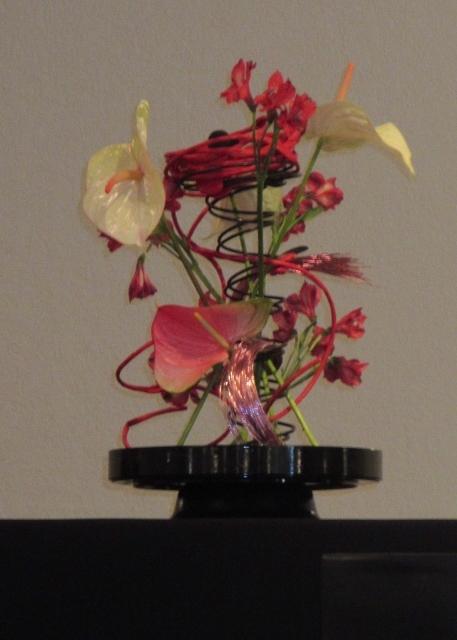 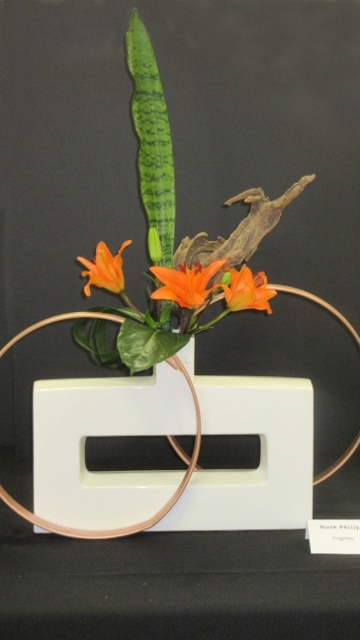 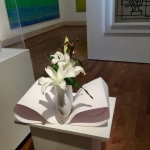 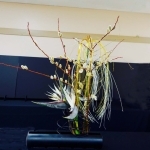 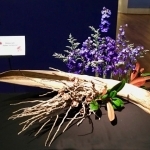 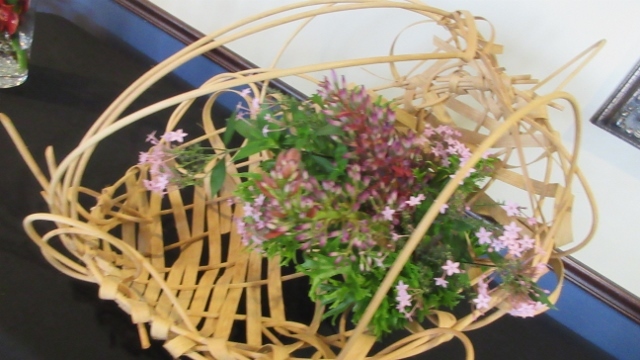 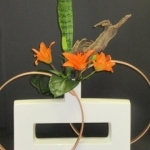 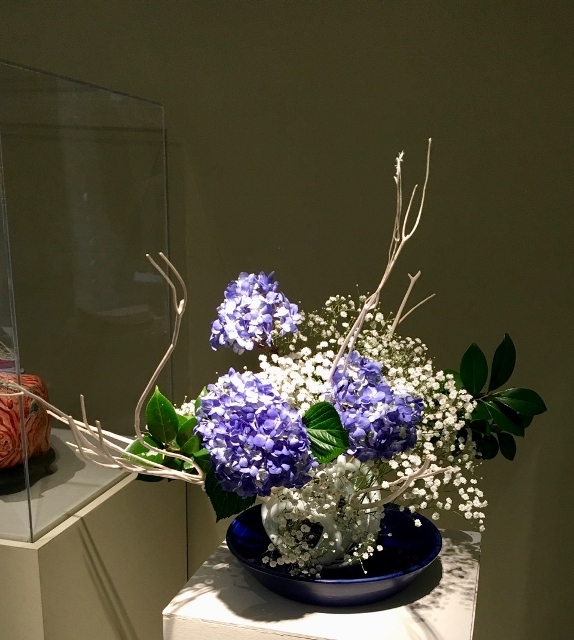 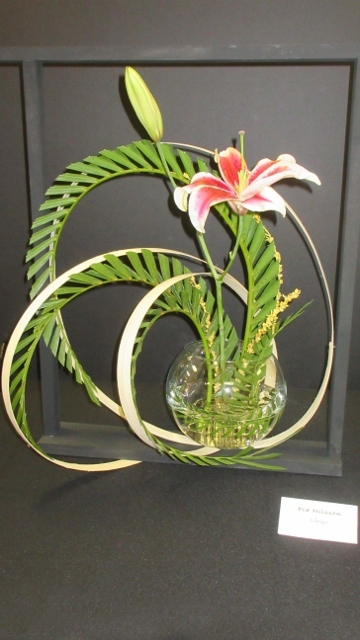 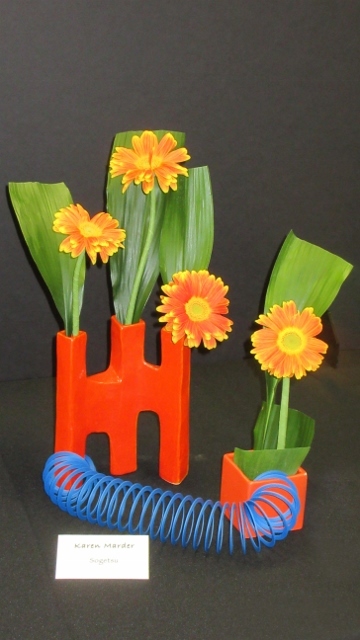 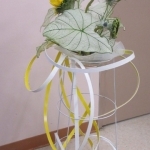 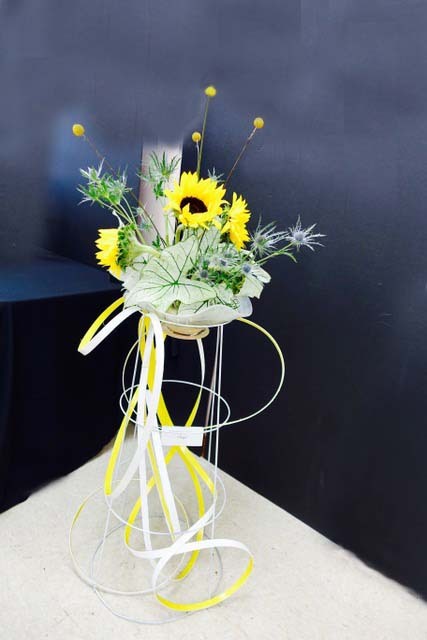 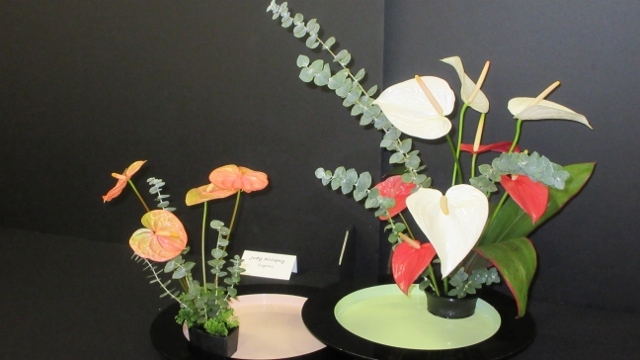 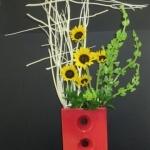 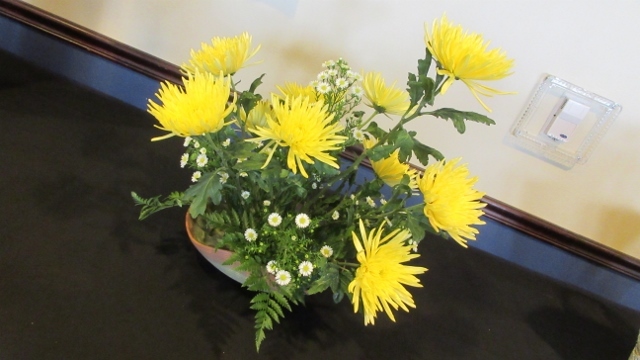 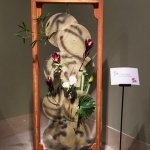 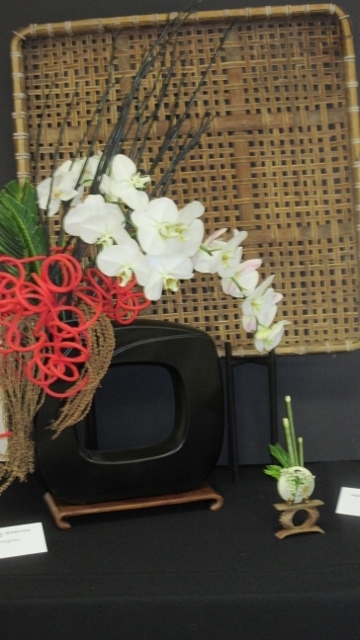 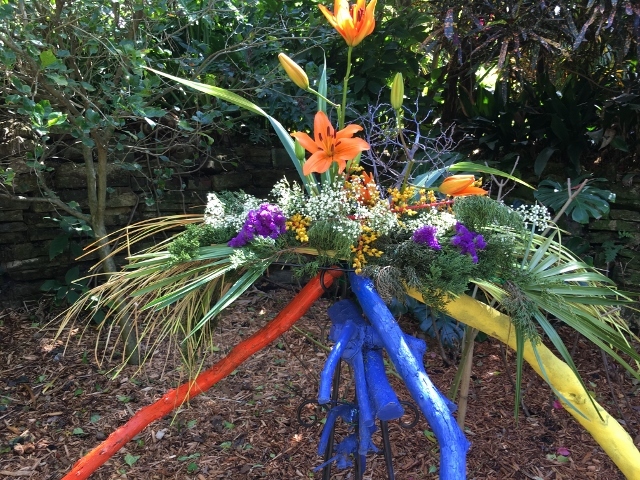 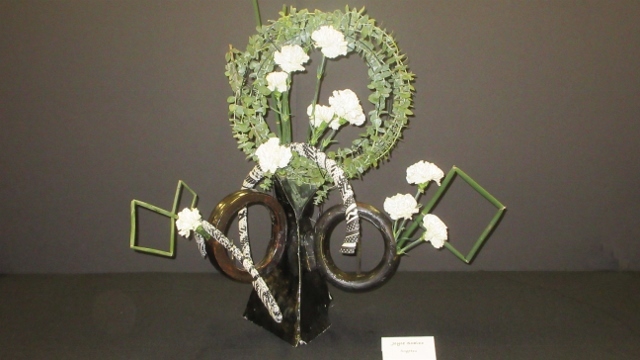 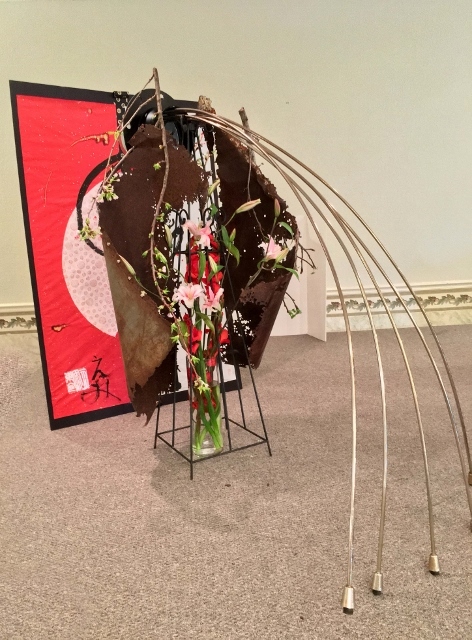 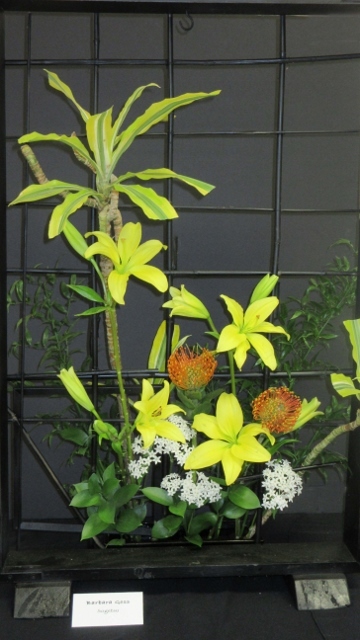 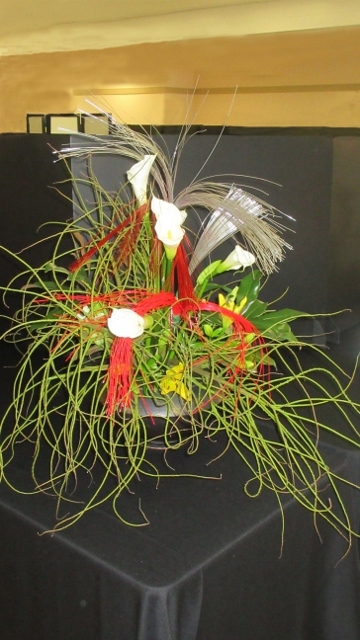 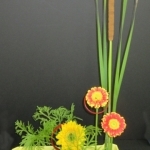 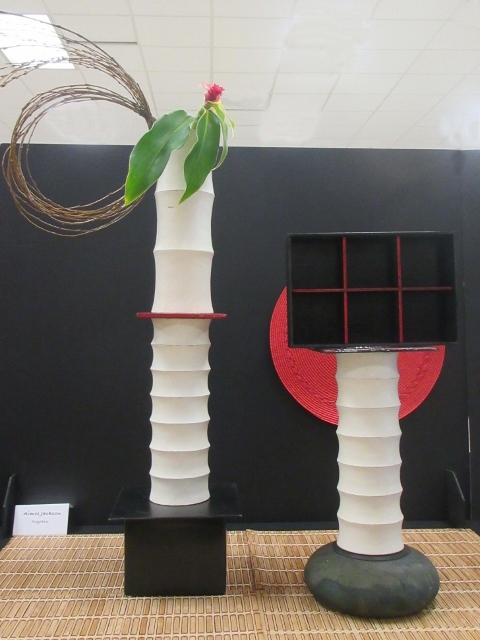 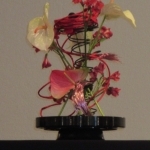 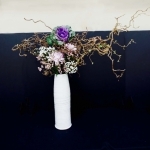 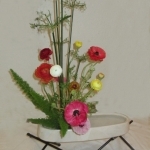 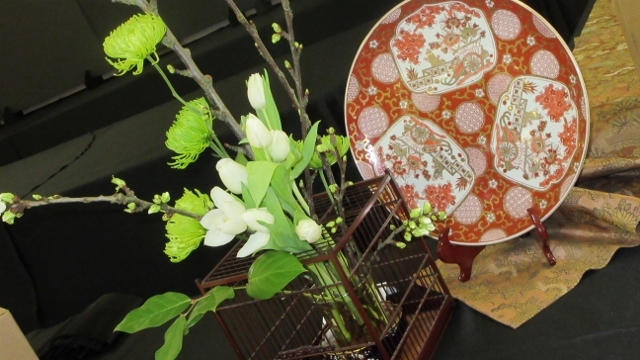 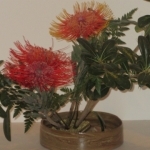 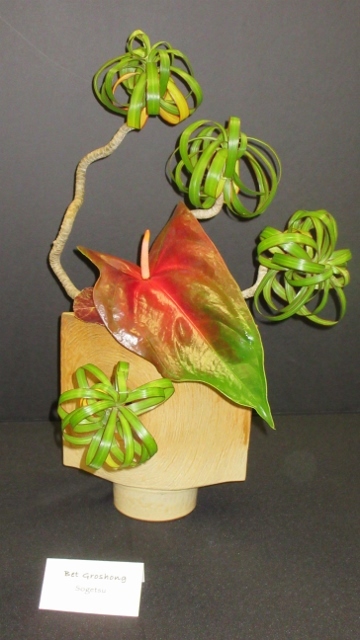 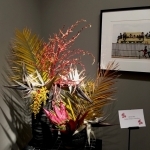 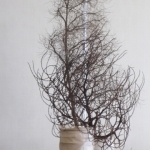 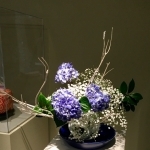 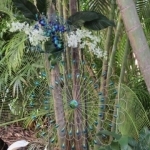 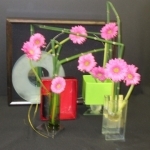 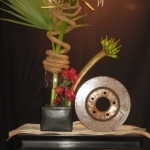 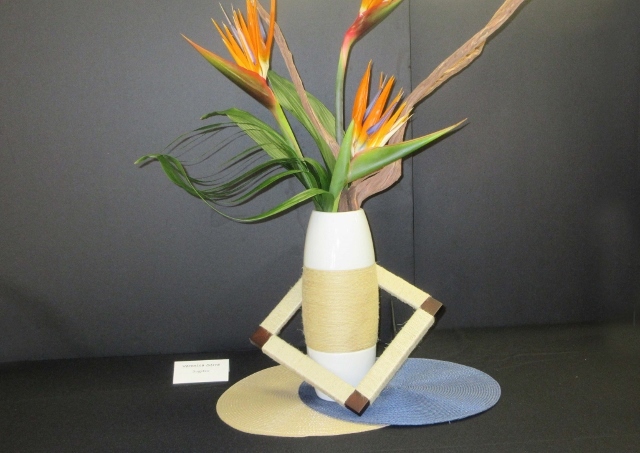 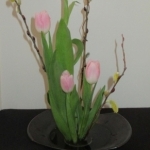 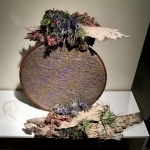 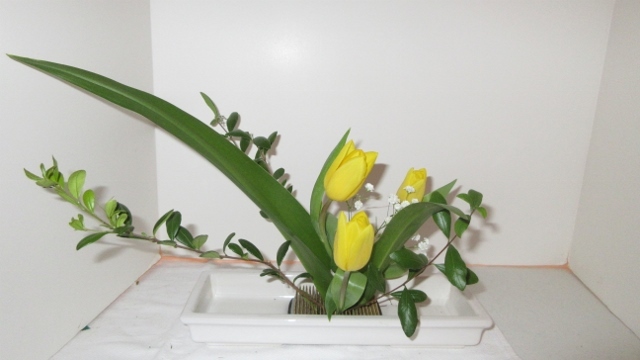 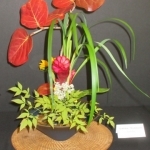 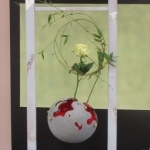 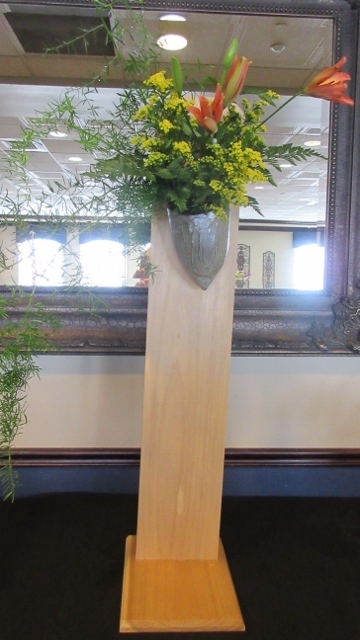 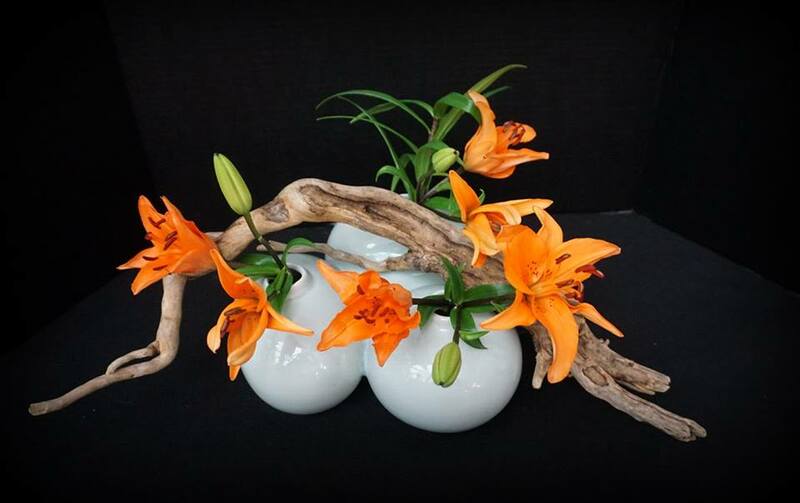 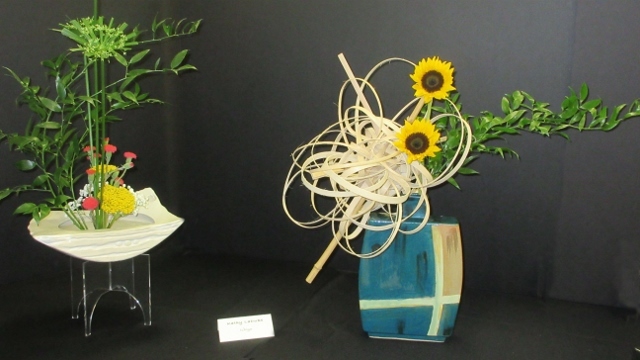 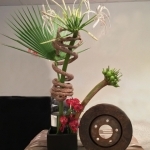 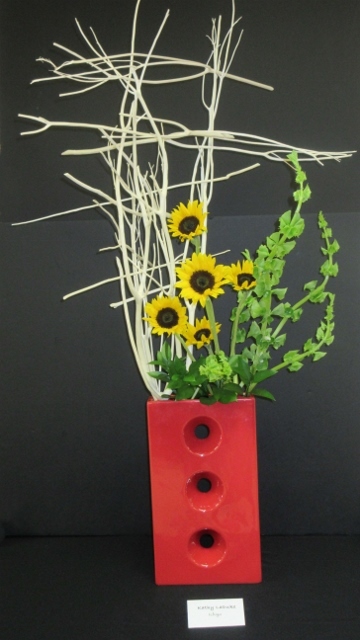 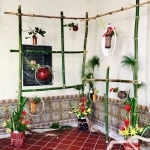 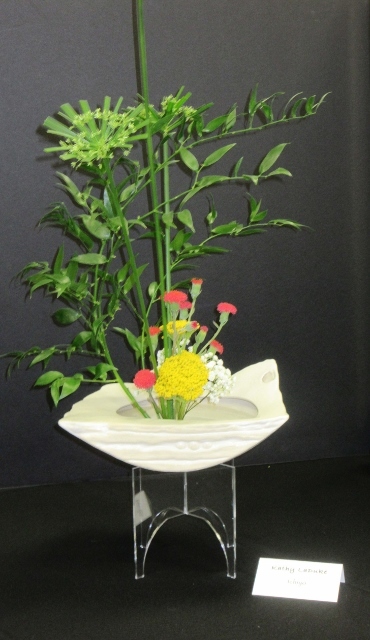 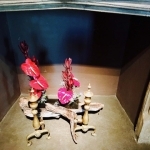 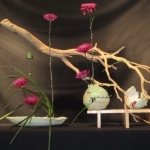 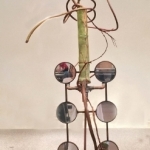 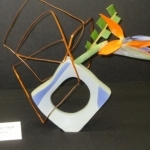 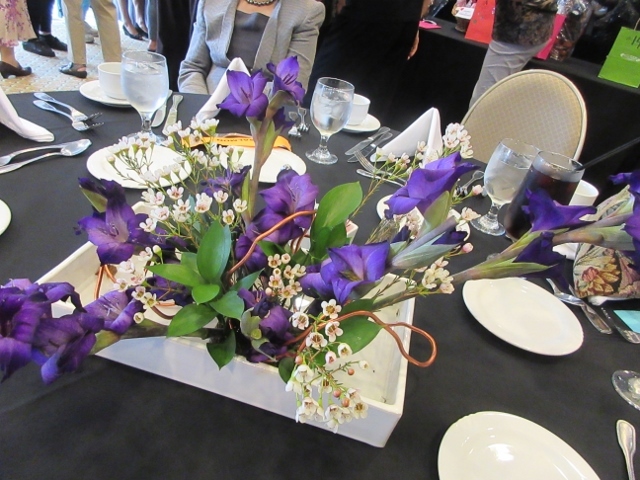 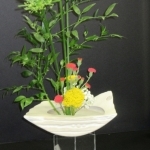 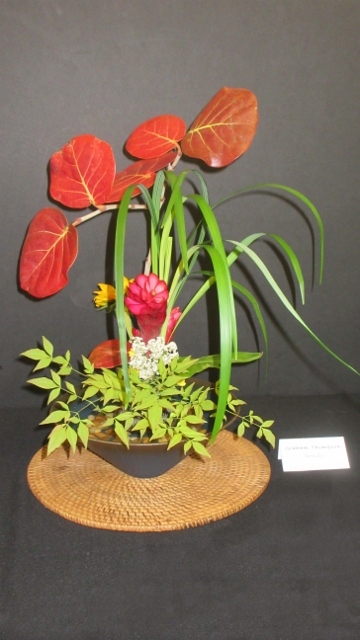 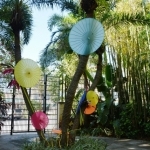 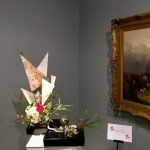 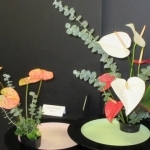 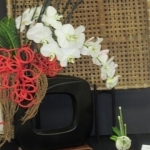 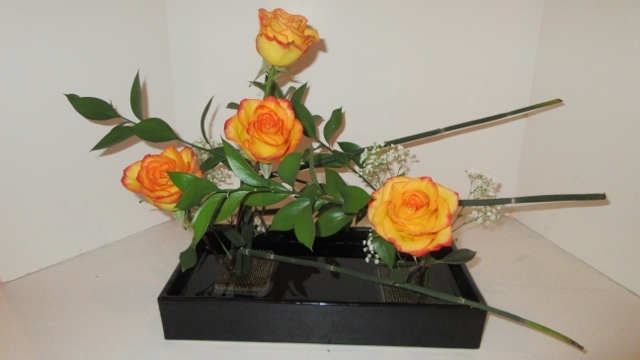 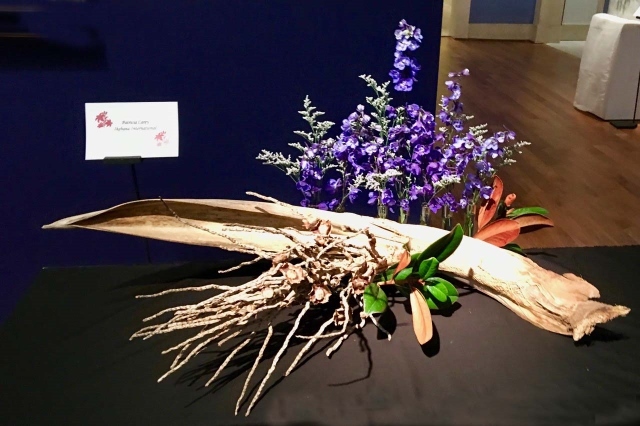 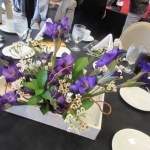 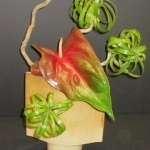 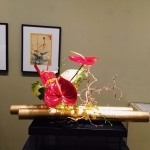 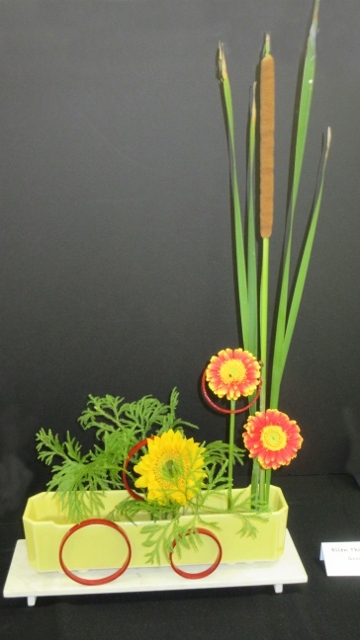 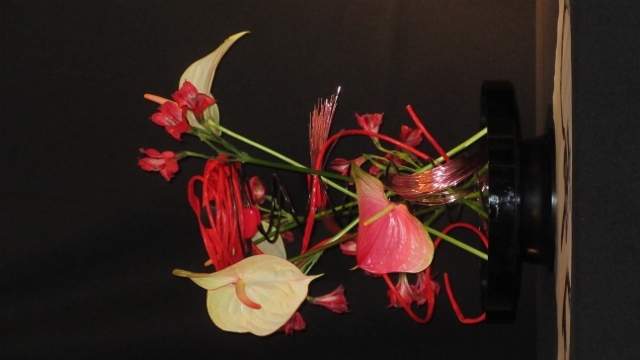 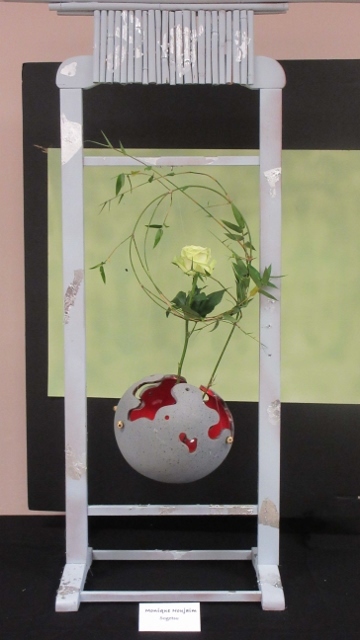 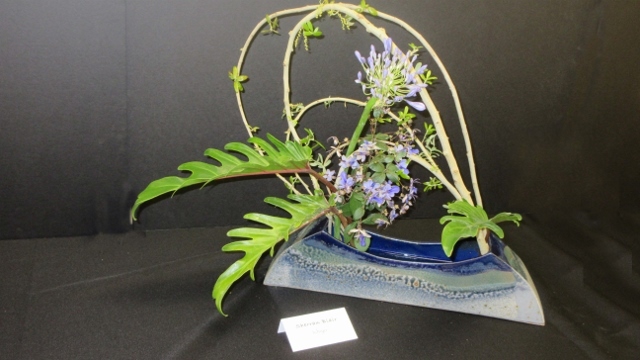 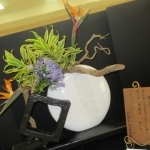 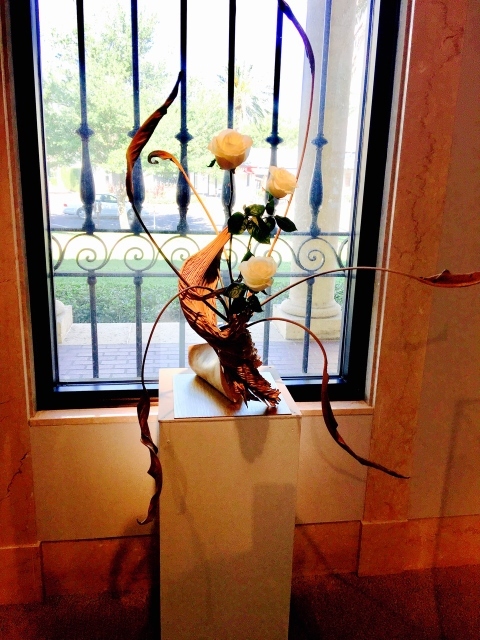 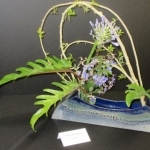 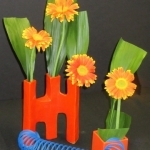 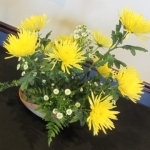 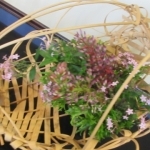 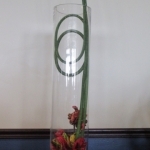 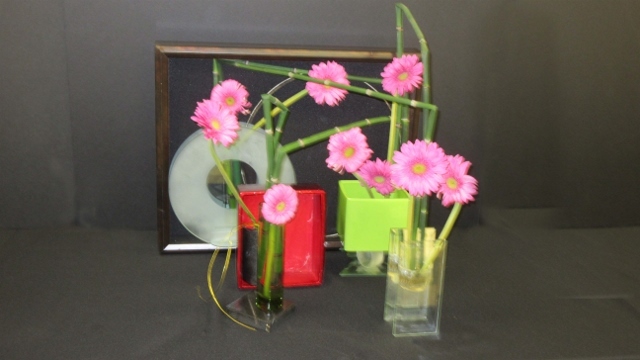 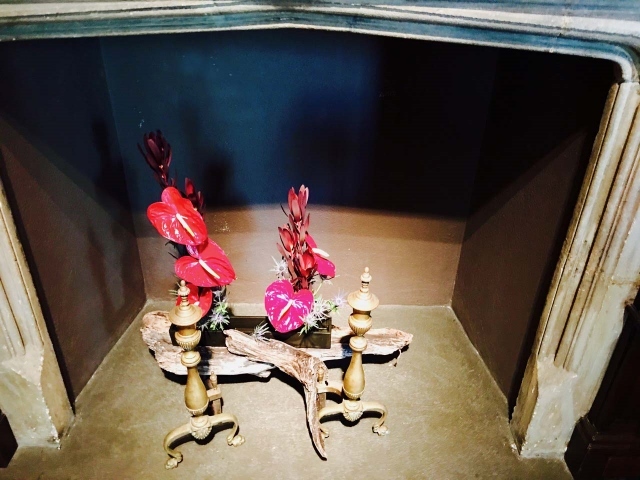 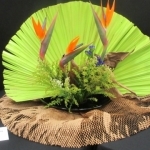 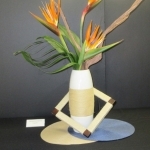 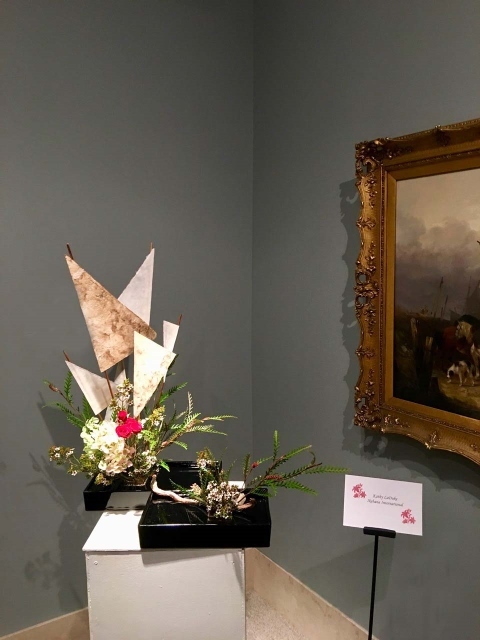 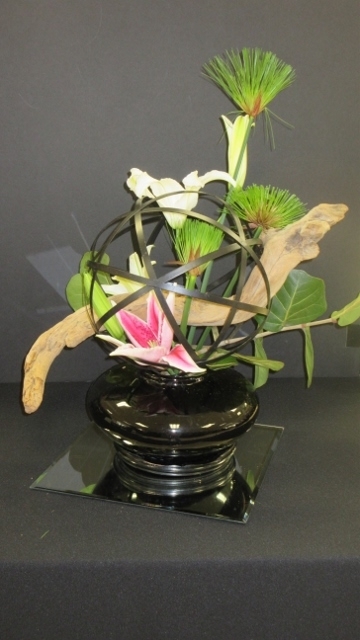 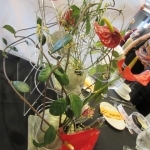 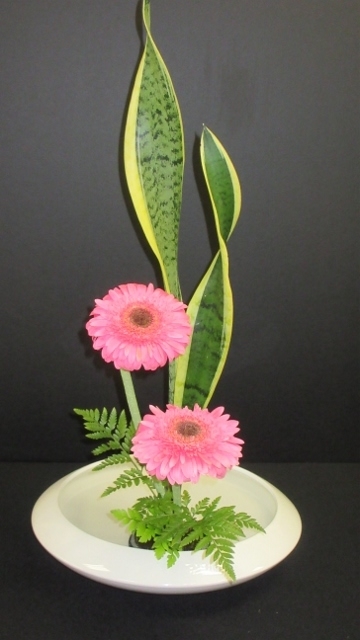 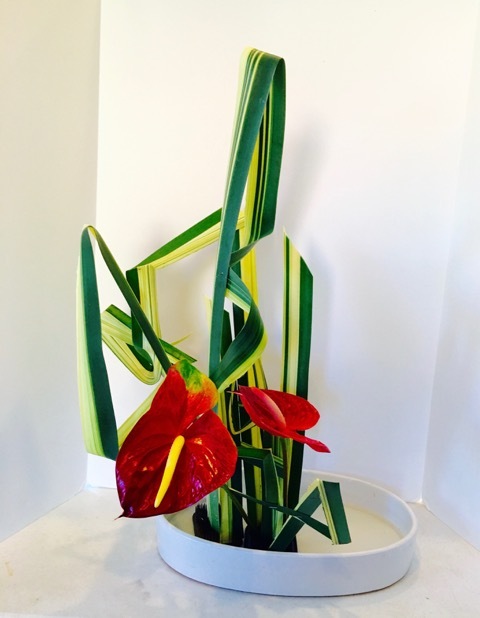 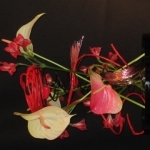 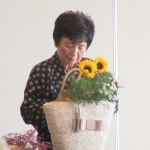 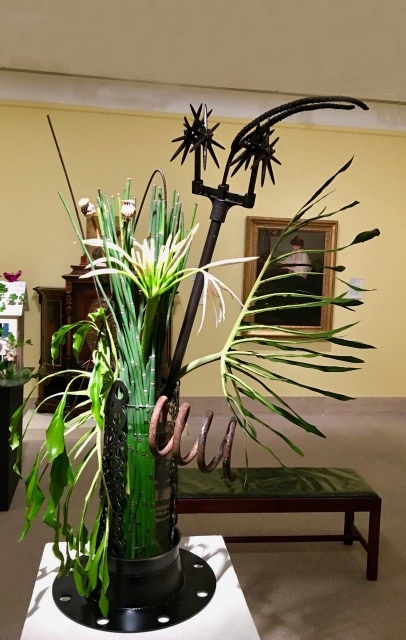 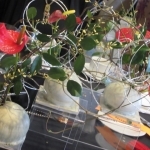 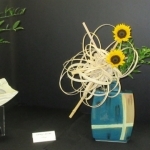 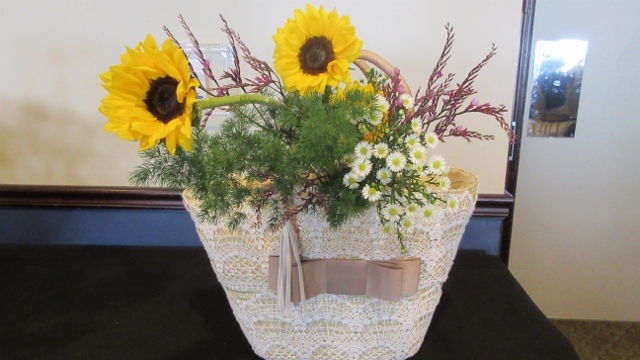 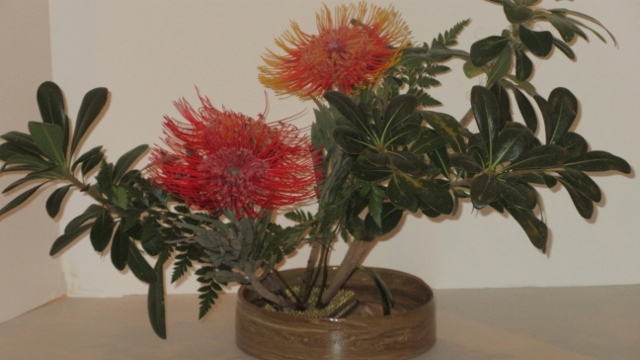 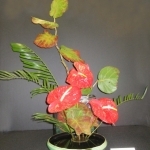 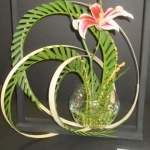 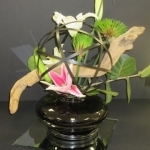 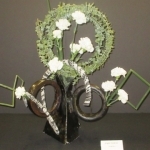 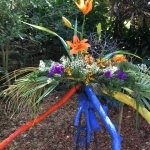 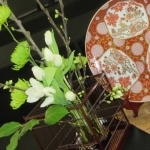 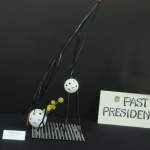 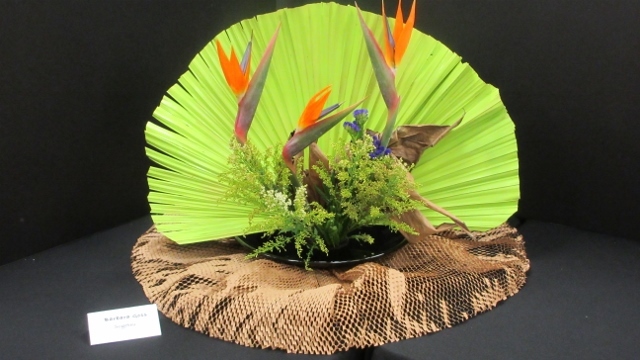 There are two Galleries of beautiful arrangements from the 2017 Anniversary Exhibition at the Treasure Island Community Center on March 11 and 12. 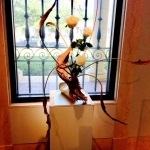 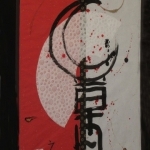 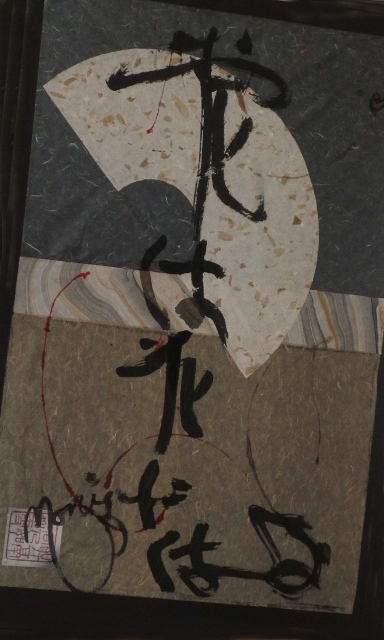 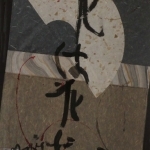 The photos in both Galleries are presented in random order. 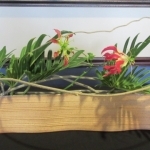 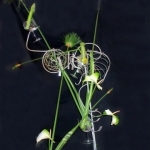 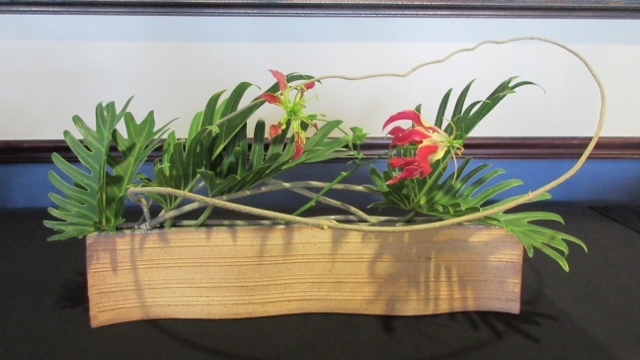 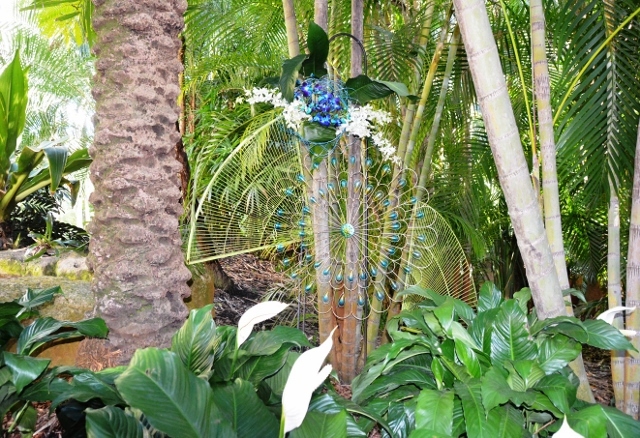 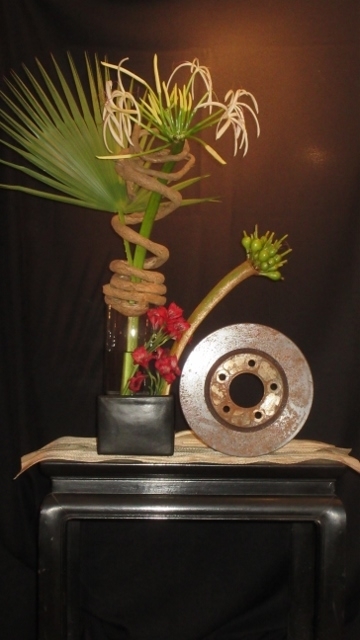 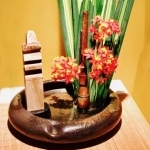 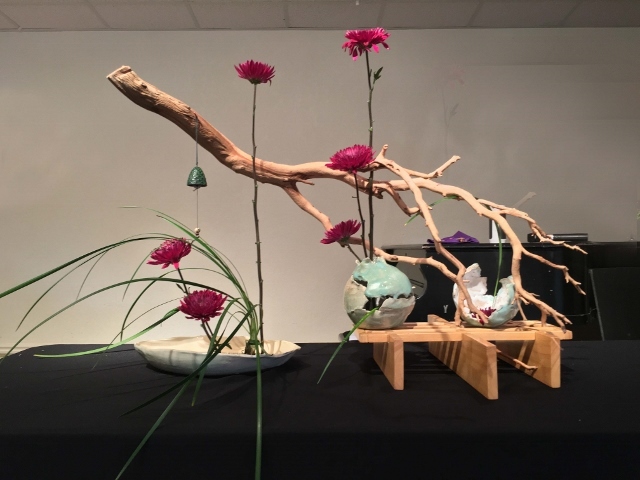 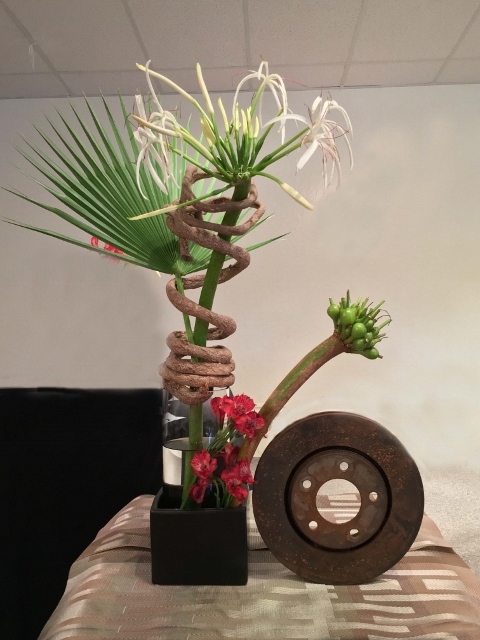 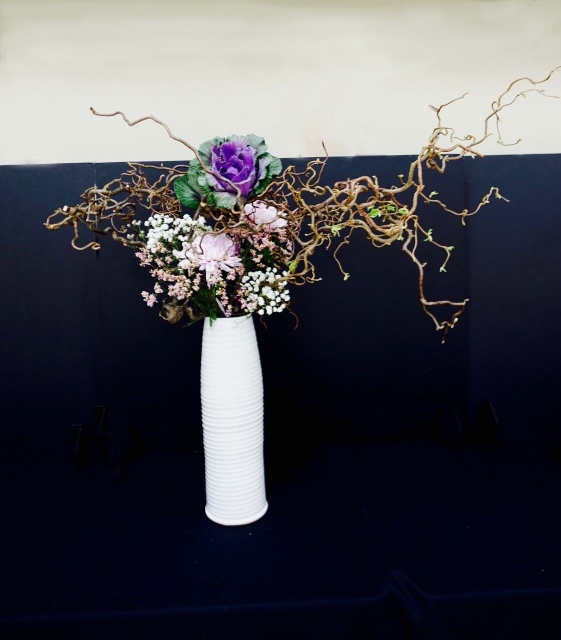 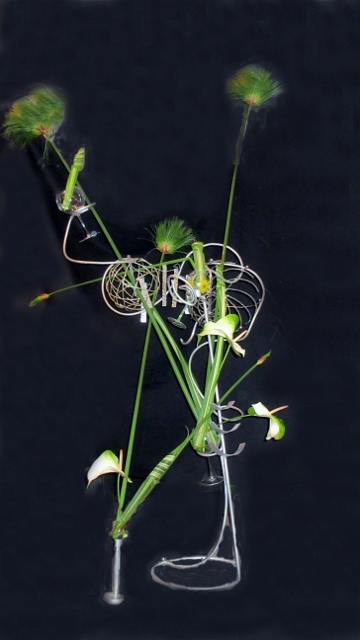 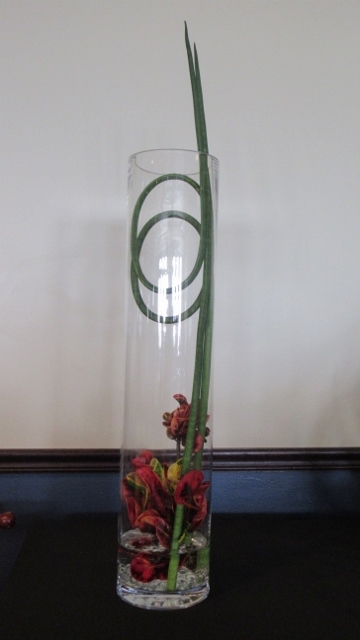 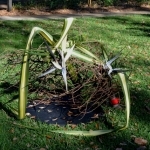 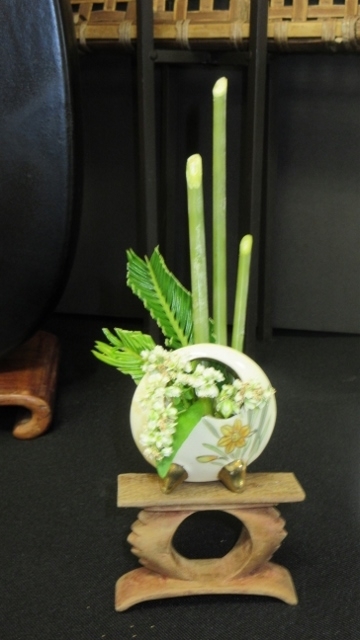 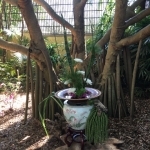 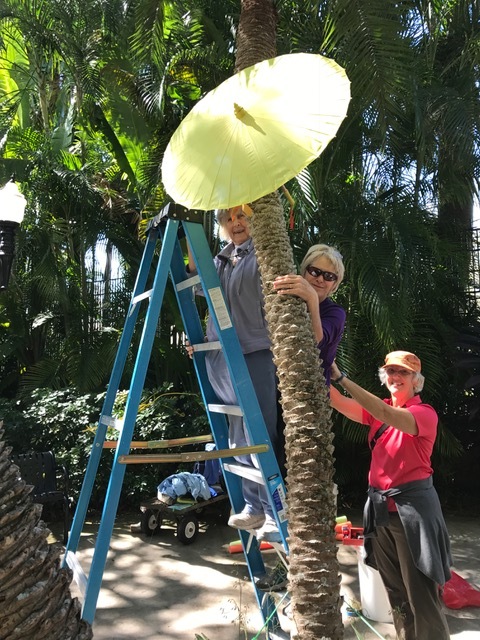 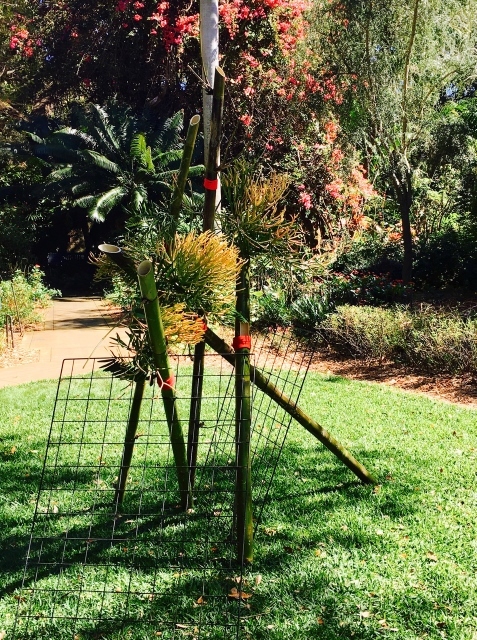 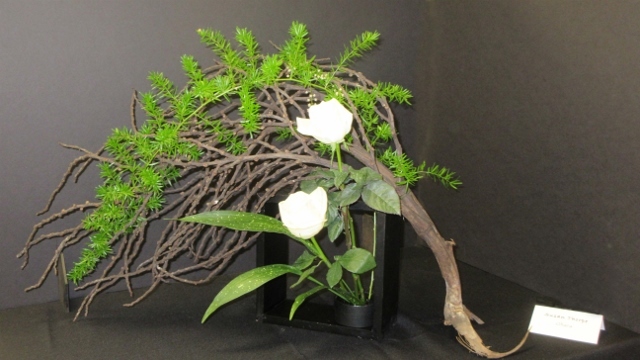 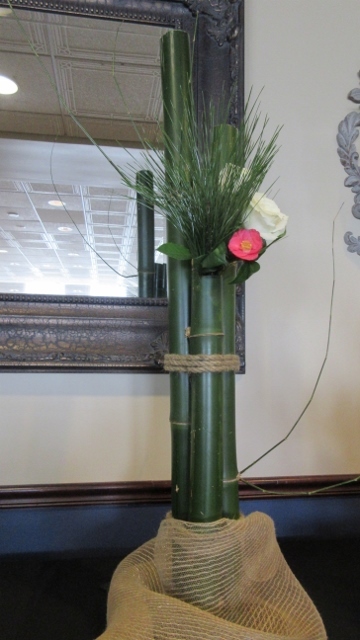 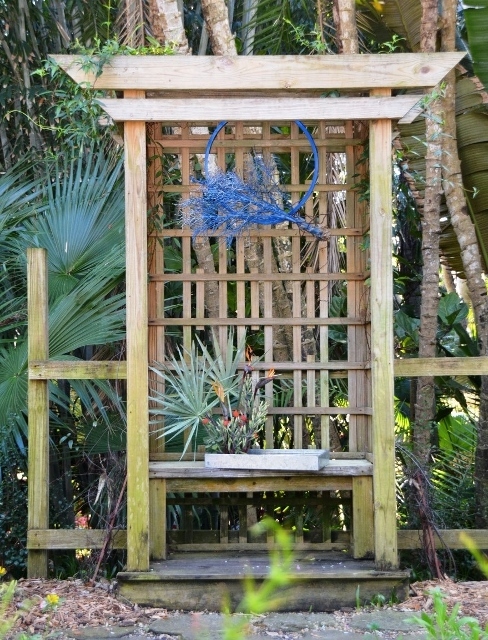 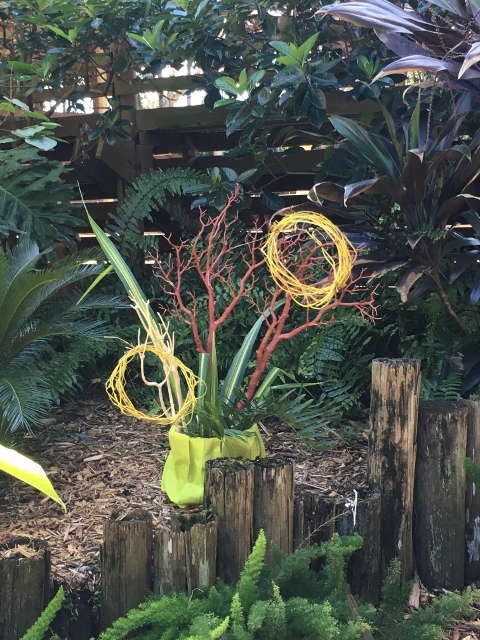 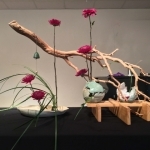 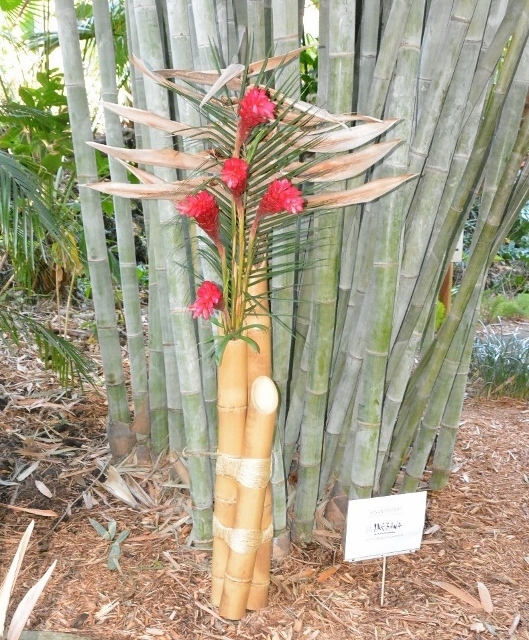 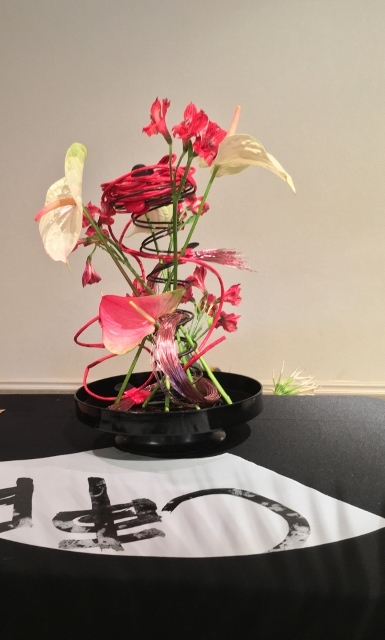 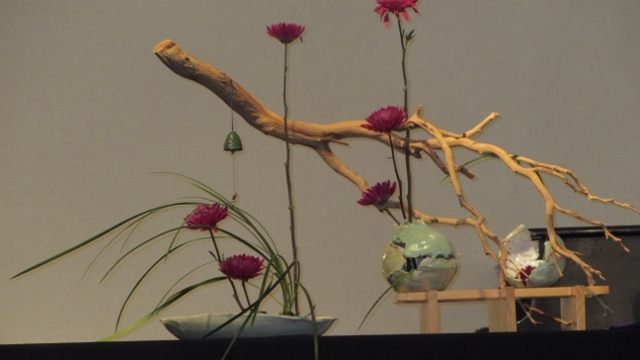 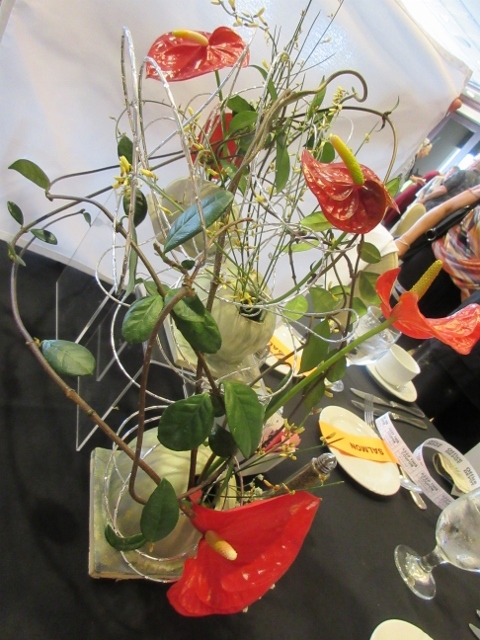 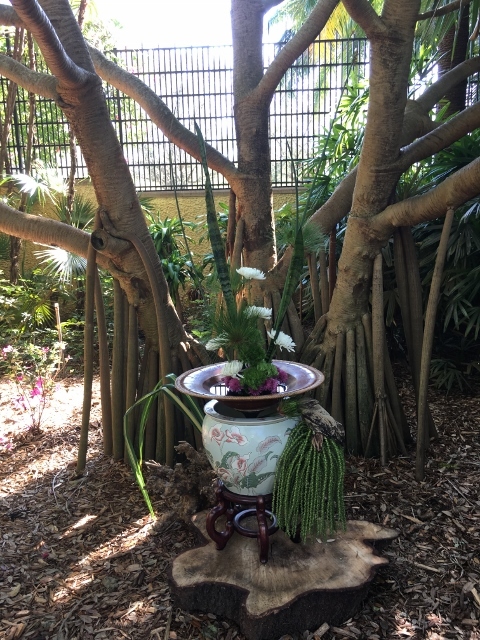 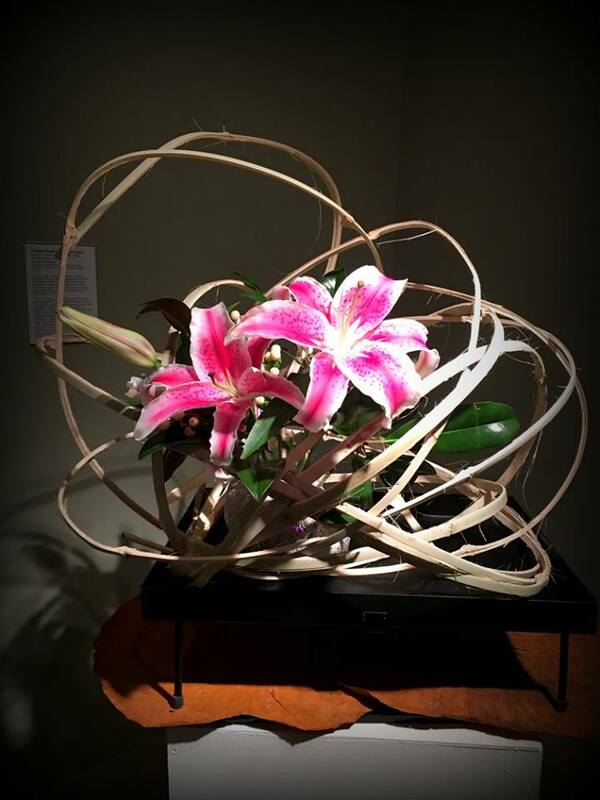 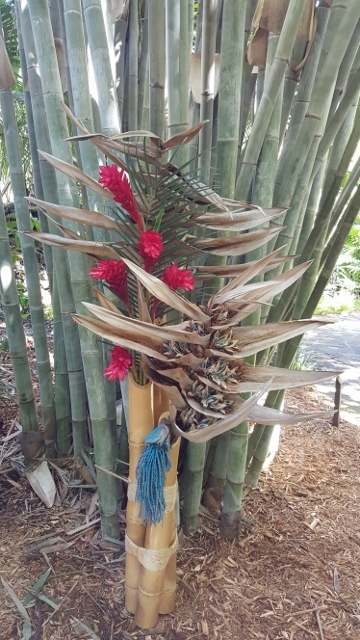 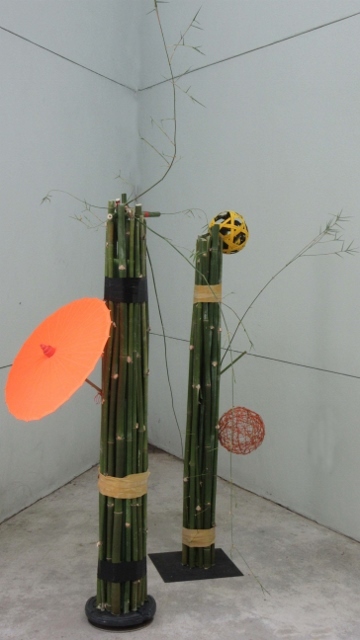 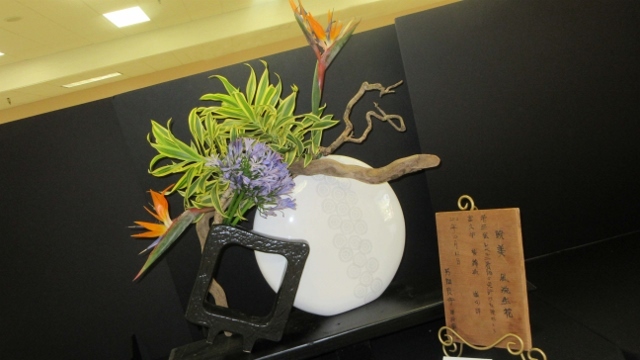 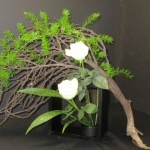 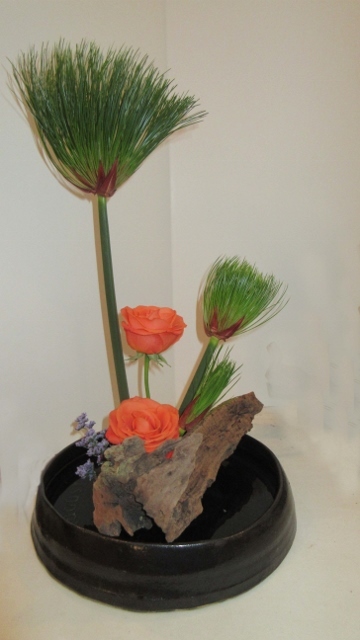 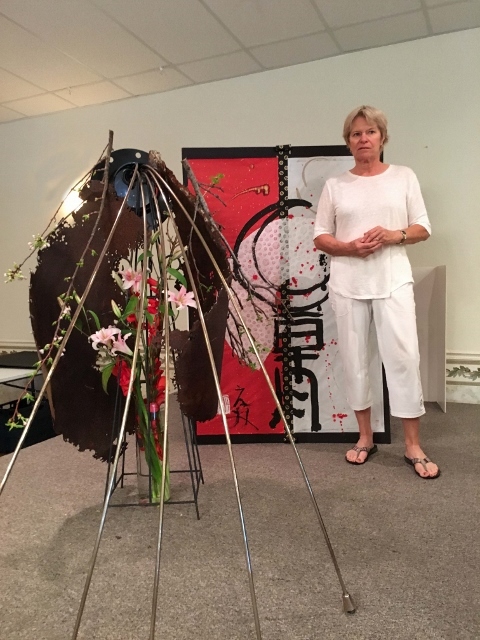 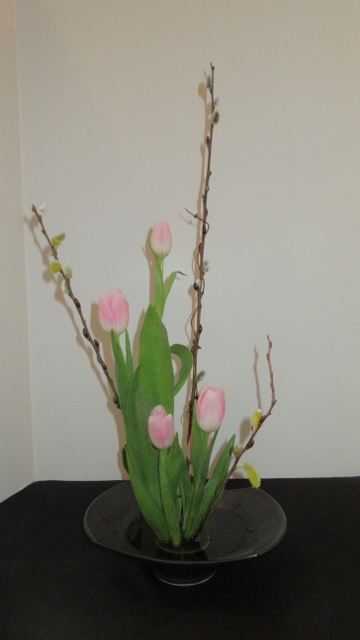 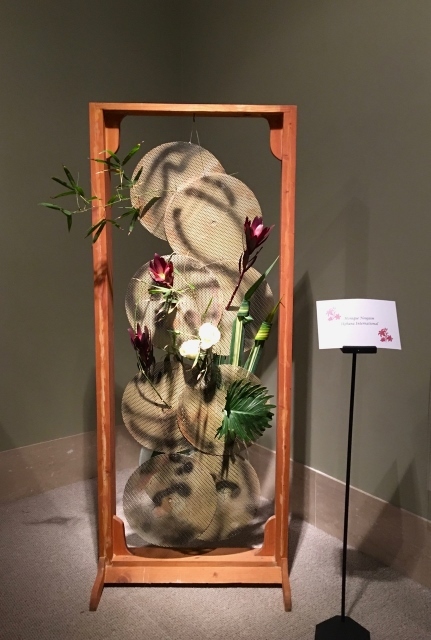 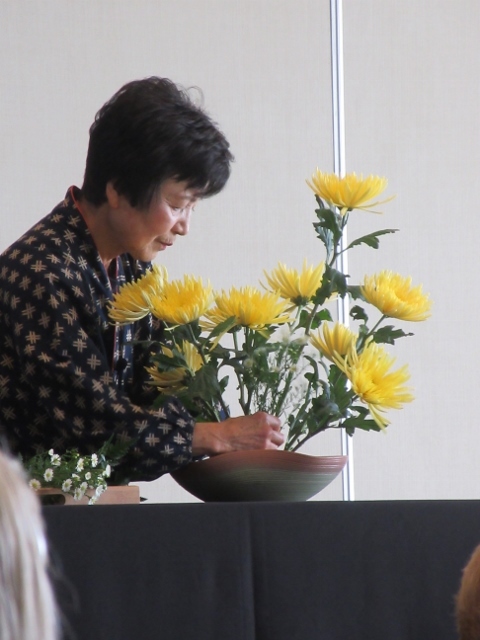 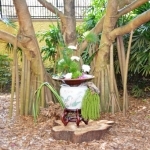 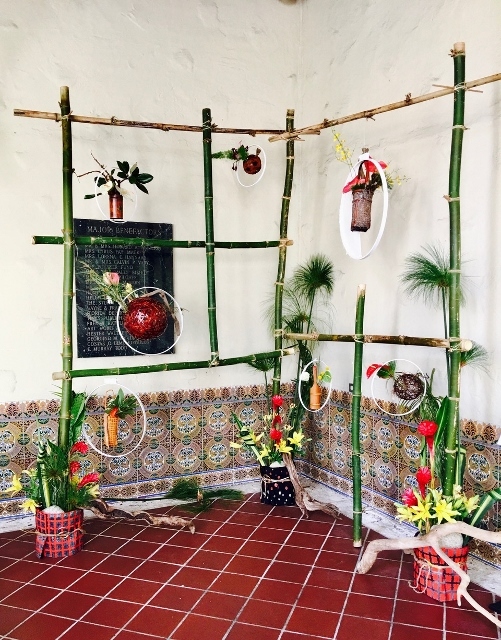 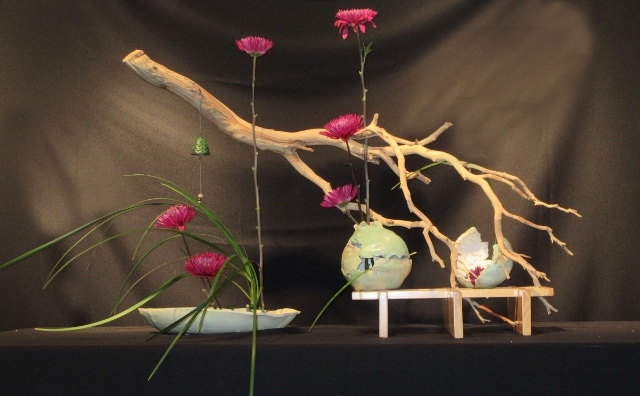 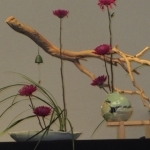 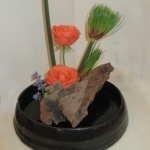 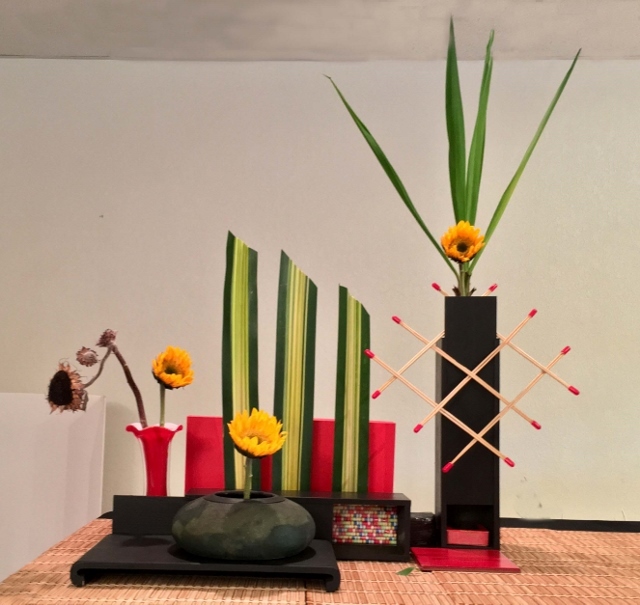 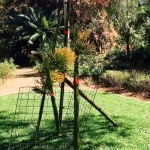 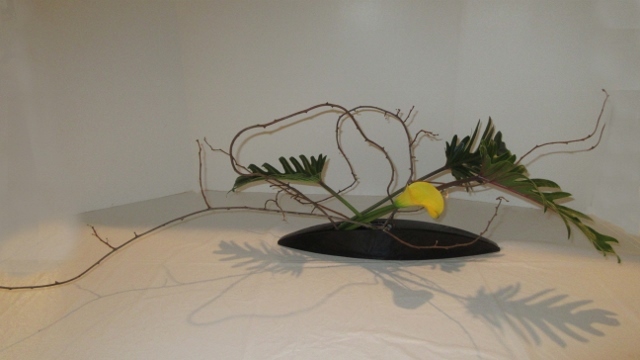 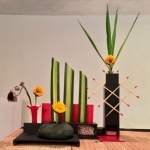 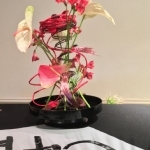 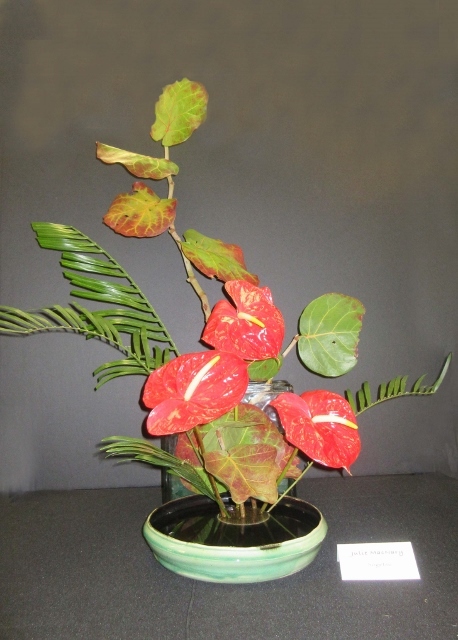 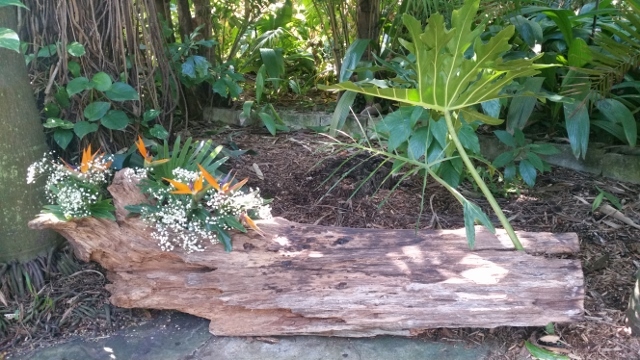 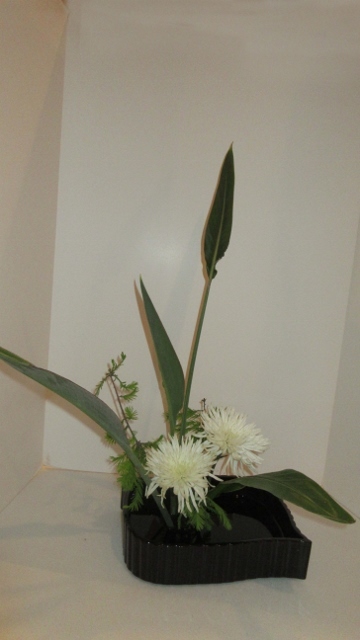 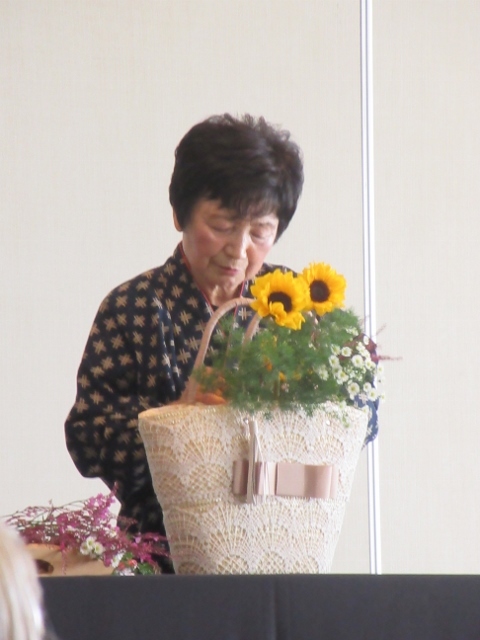 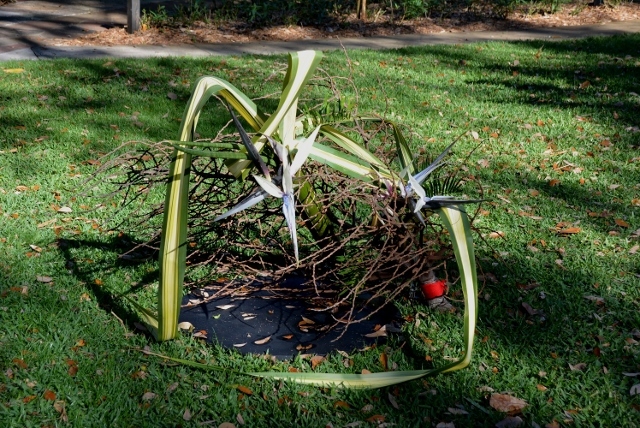 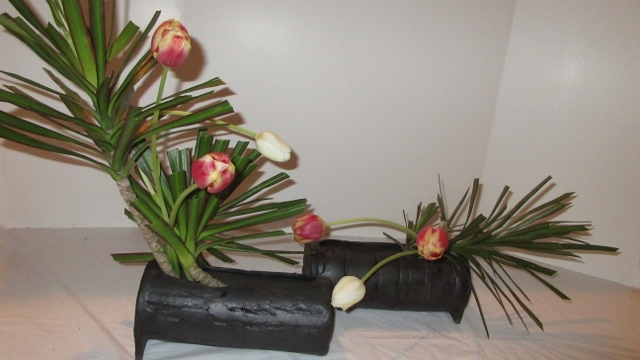 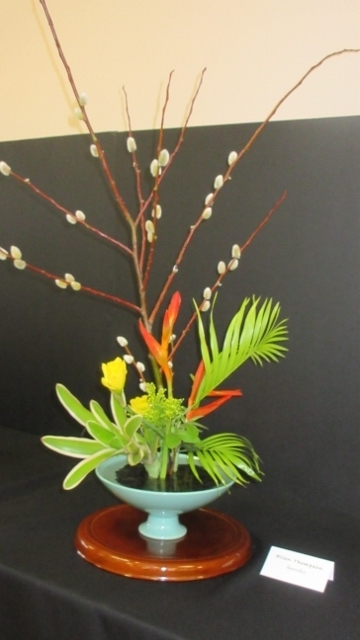 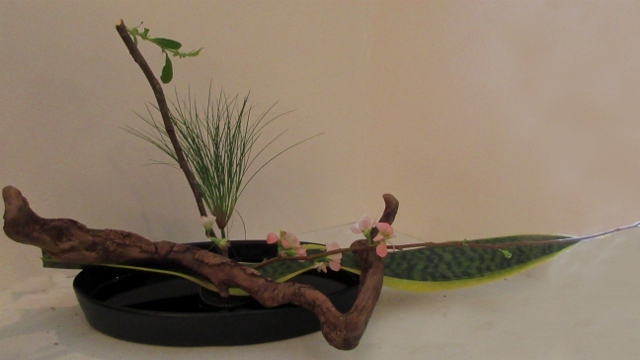 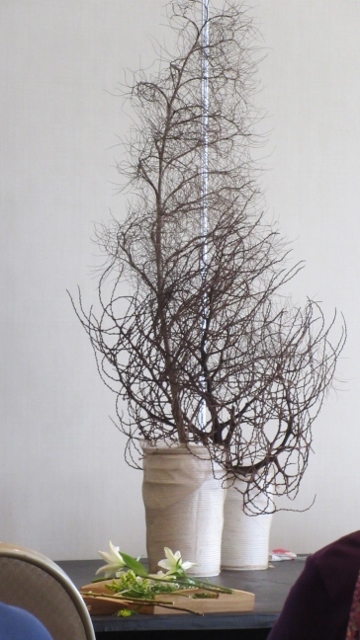 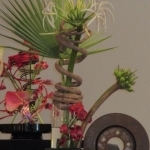 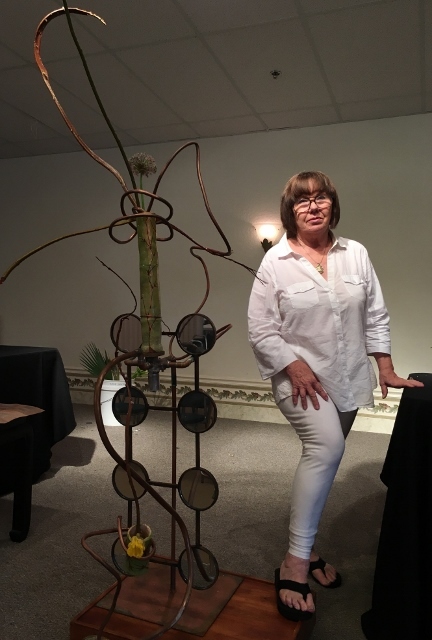 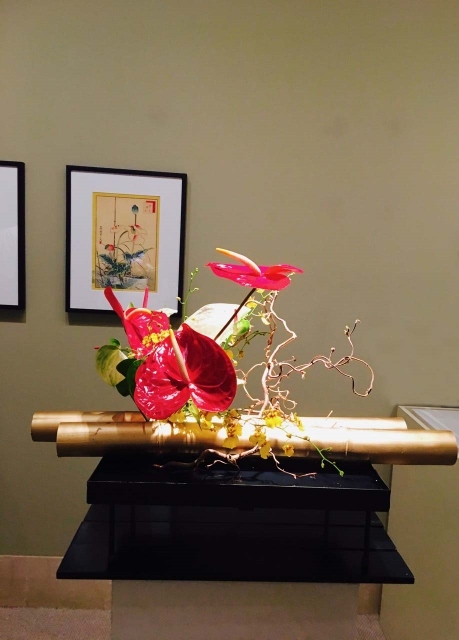 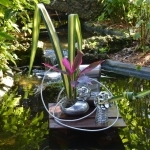 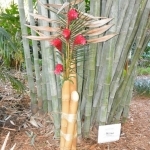 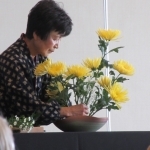 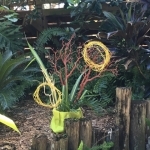 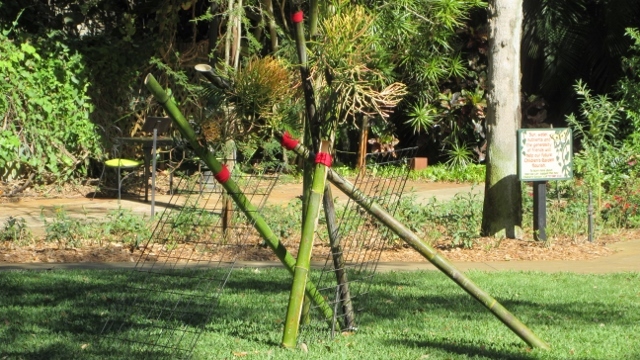 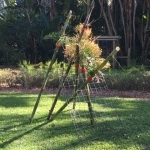 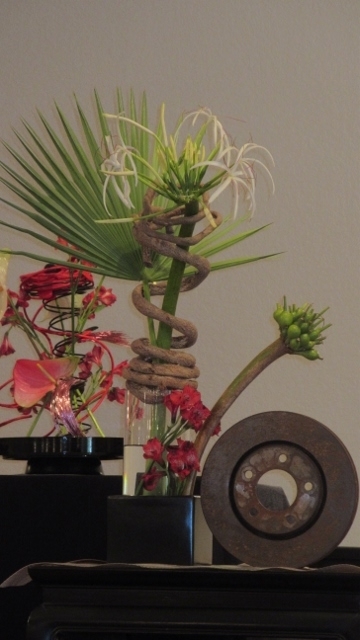 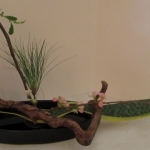 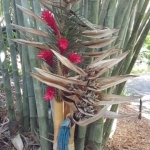 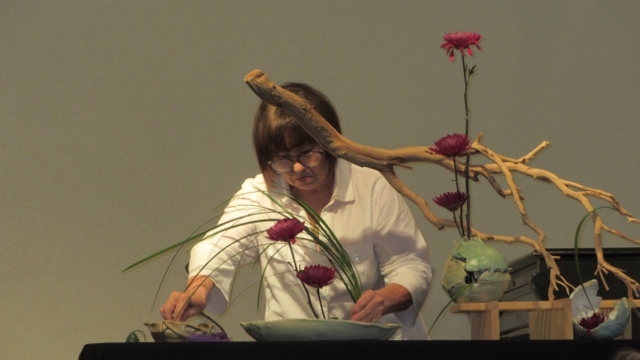 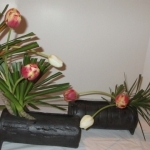 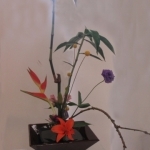 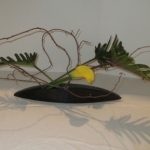 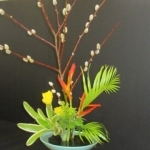 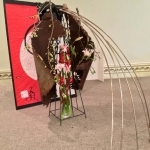 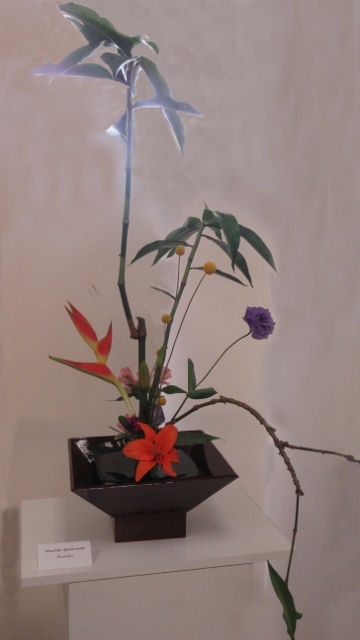 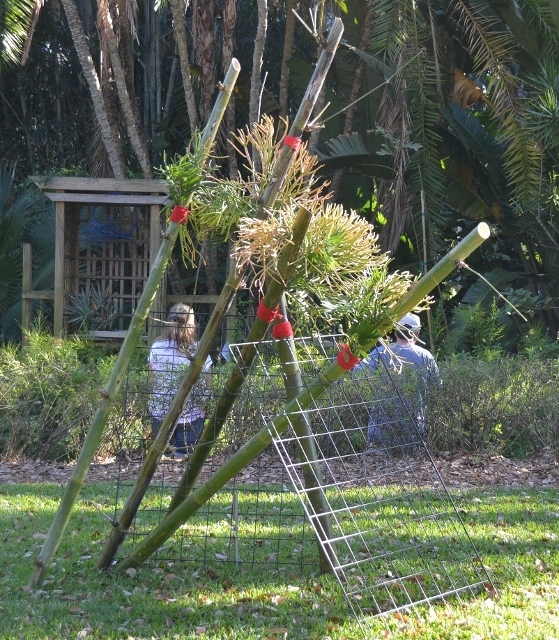 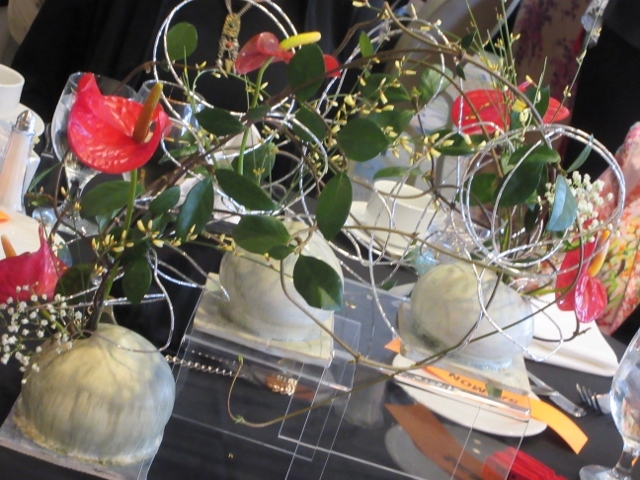 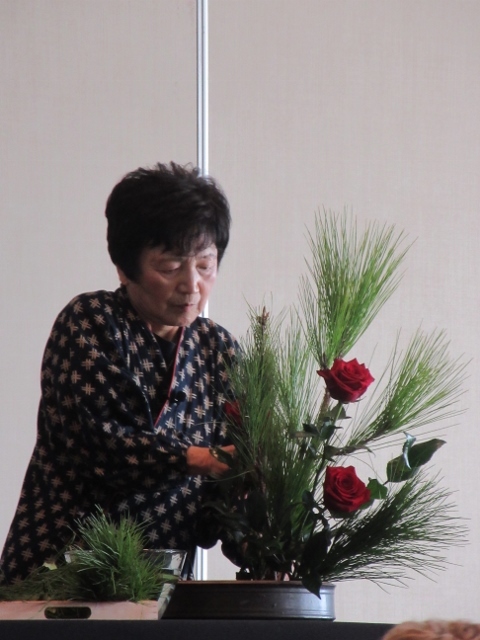 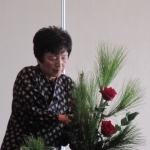 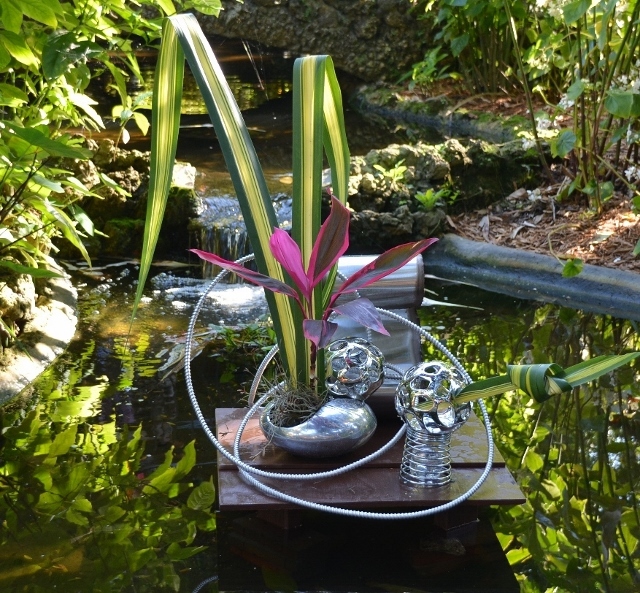 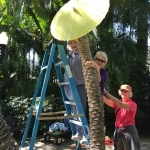 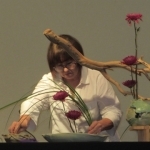 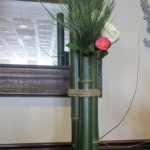 Our annual exhibition at Sunken Gardens on February 18 and 19, 2017 featured beautiful and creative arrangements of Ikebana in the Garden! 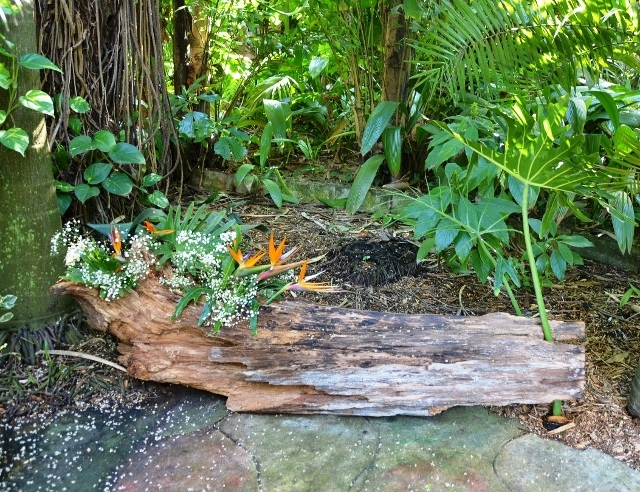 We’ve included multiple images of the same arrangement taken at different times of the day with changes in lighting and shadows. 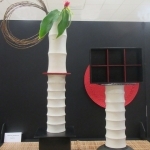 Altogether a wonderful exhibition!! 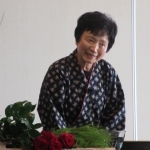 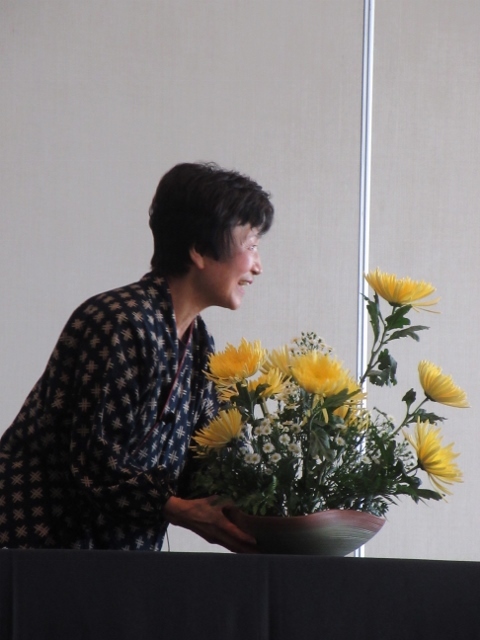 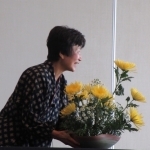 An inspiring time with the amazing Fusako Hoyrup! 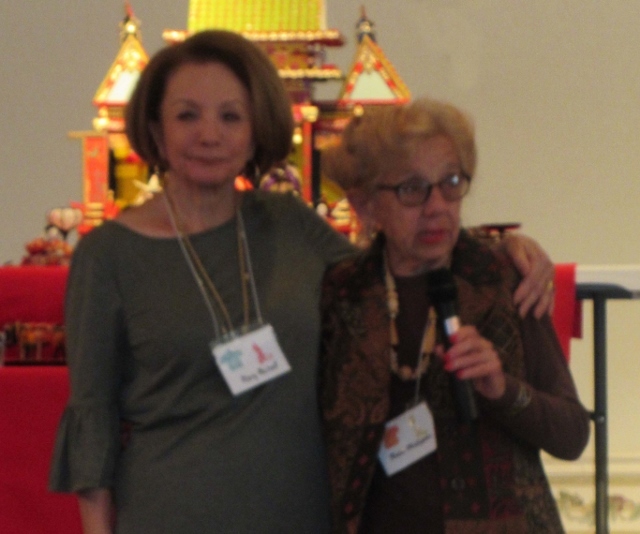 Jeanne Houlton hosted a mid-day Celebration of the New Year as a fund-raiser for Chapter #65! 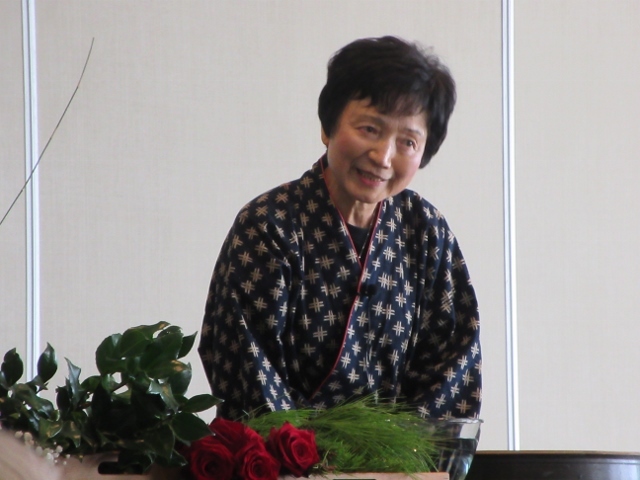 This was an opportunity to learn new traditions, celebrate the New Year with friends, and sample delicacies from Japanese cuisine! 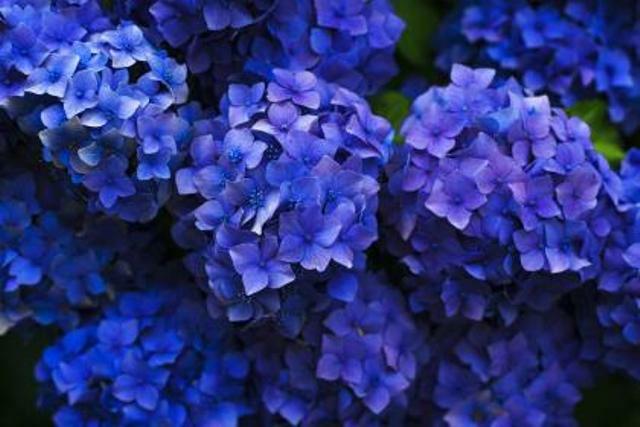 If you have pictures to share, please send them! 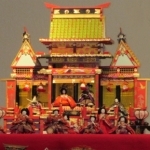 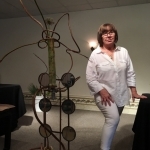 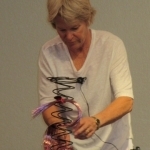 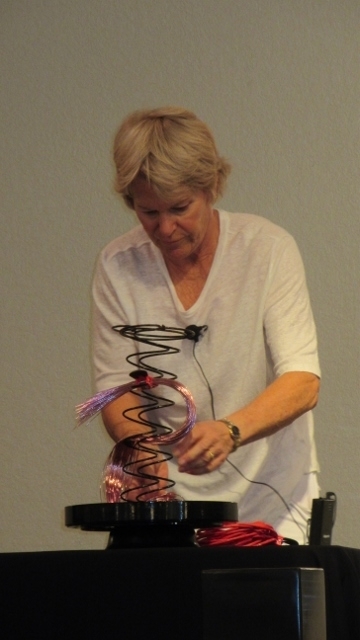 A Holiday Program on Miniatures with Dr. Stephanie English. 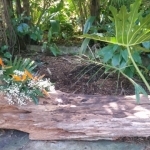 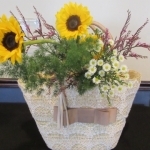 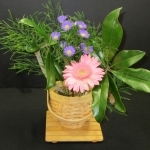 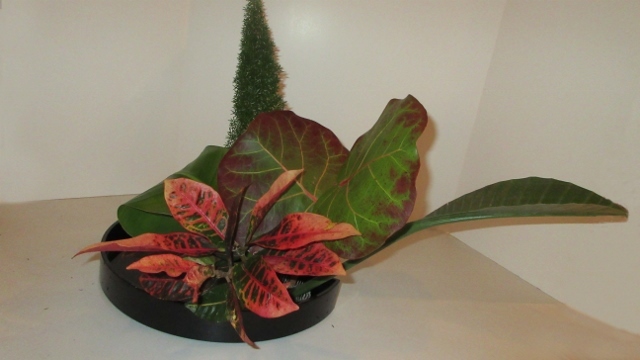 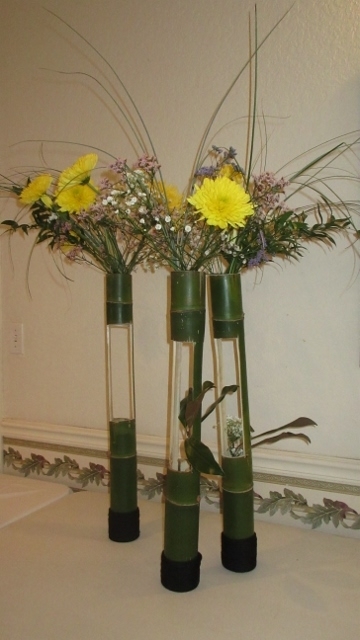 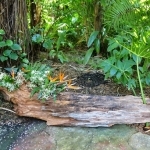 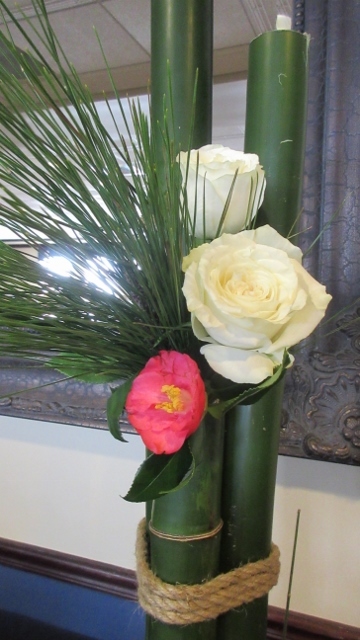 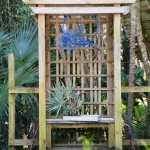 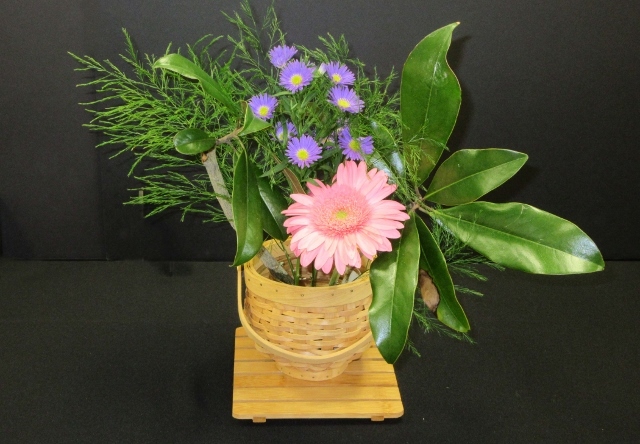 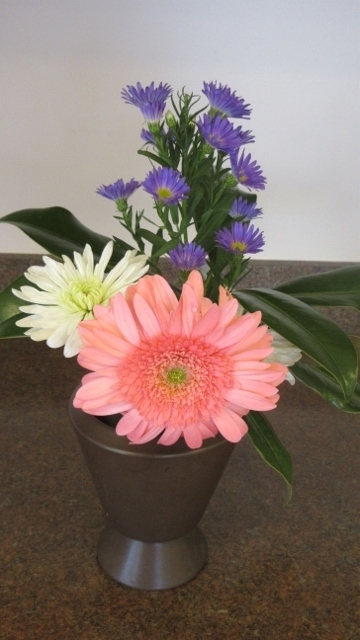 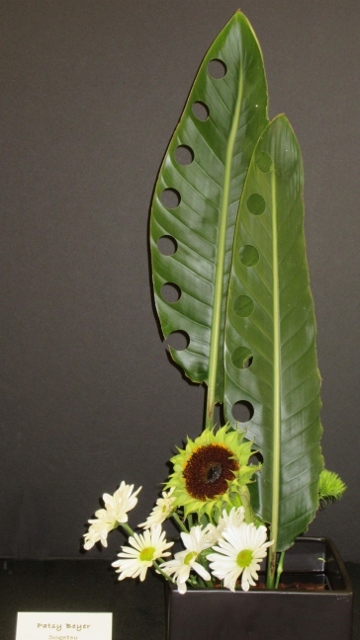 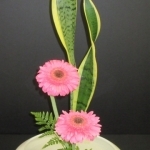 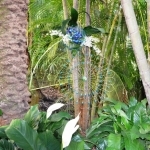 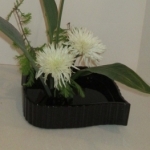 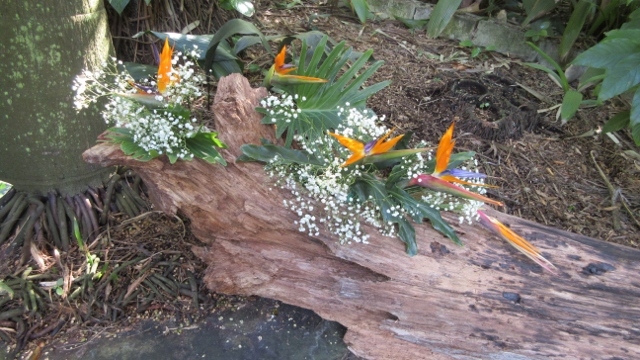 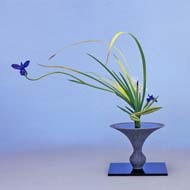 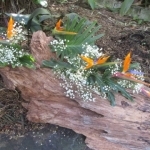 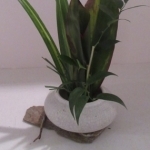 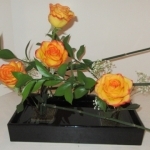 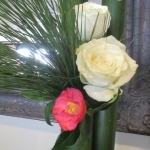 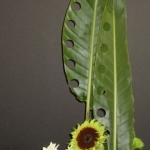 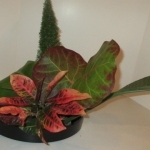 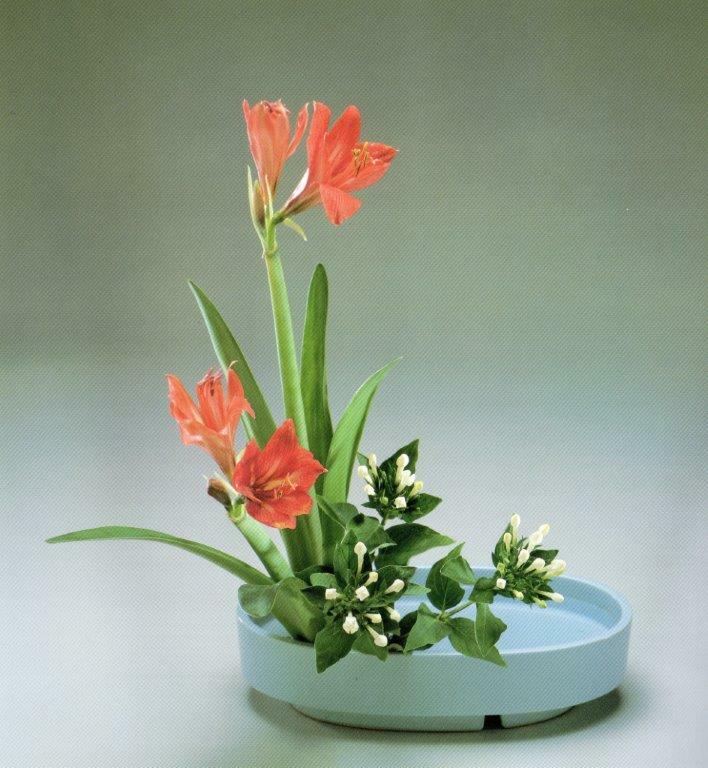 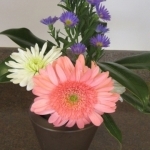 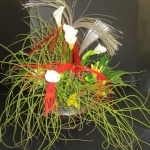 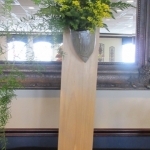 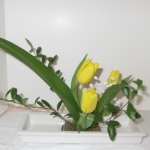 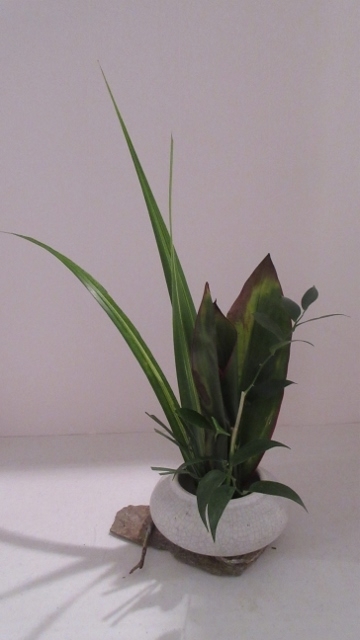 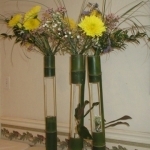 What big rewards from tiny arrangements! 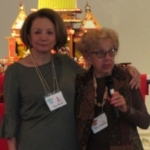 Sherran Blair hosted a wonderful Holiday Dinner as a fund raiser for Chapter #65. 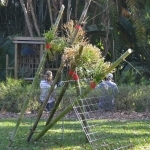 Plan to join us for an unforgettable event in celebration of the coming Holidays. 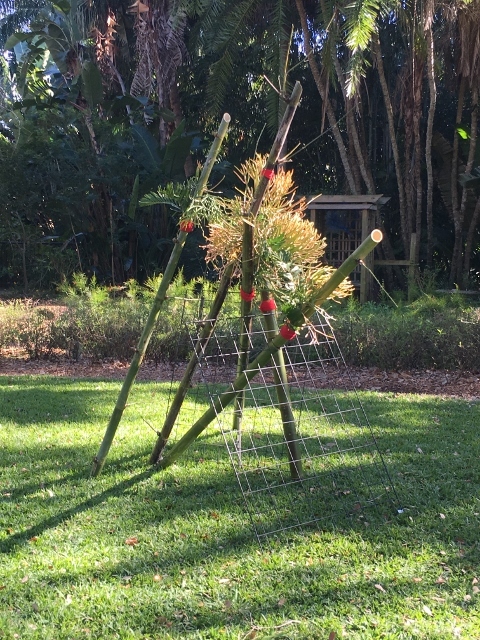 As Sherran promised, this was a unique celebration of the Holidays and we had never seen anything quite like her Lions!! 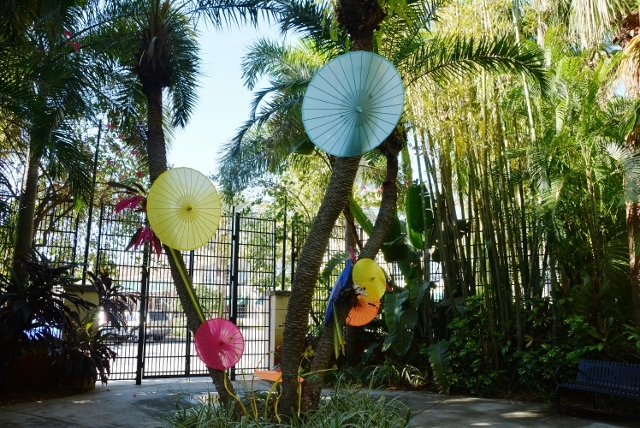 Thursday, October 20, 2016 4:30 -7:00 p.m.
Beach Party A Fabulous Success!! 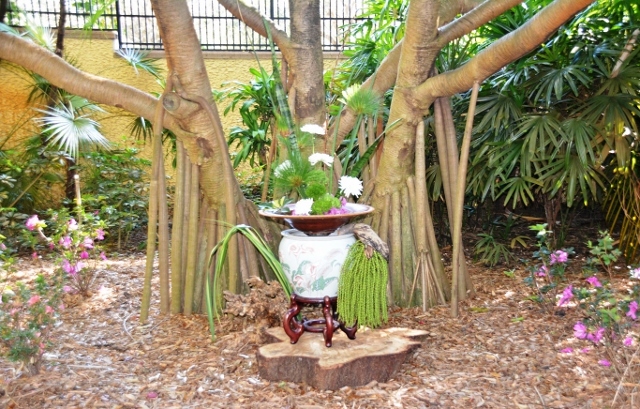 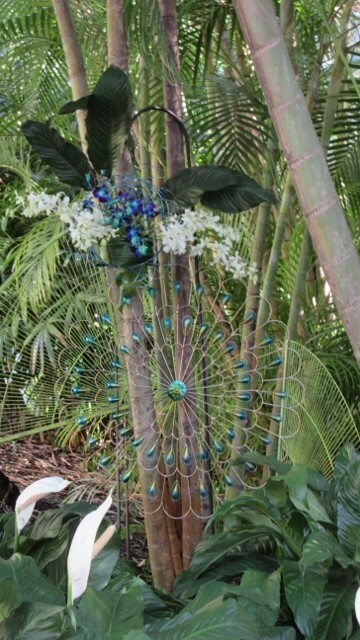 Barbara Goss hosted a lively party that transported us back in time and fashion! 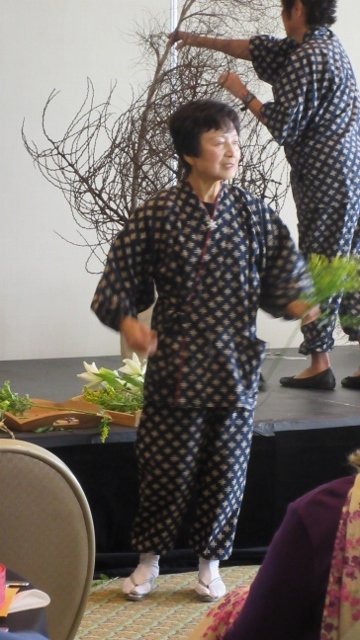 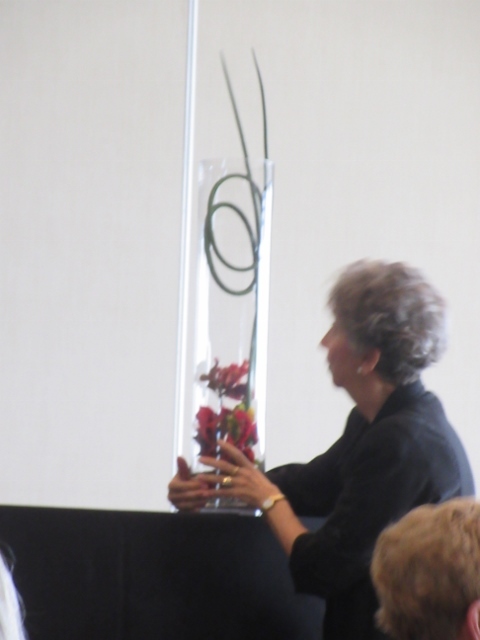 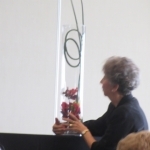 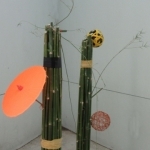 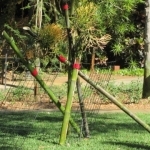 Shakuhachi Demonstration: An inspiring and invigorating program full of audience participation!